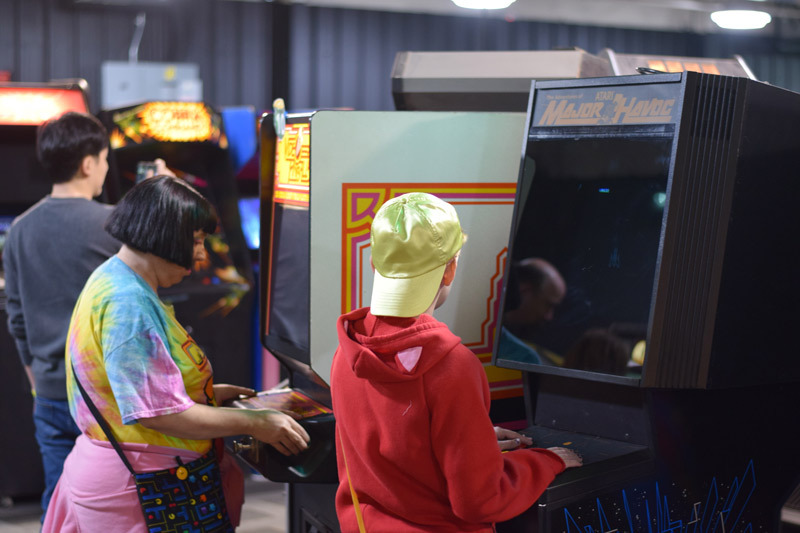 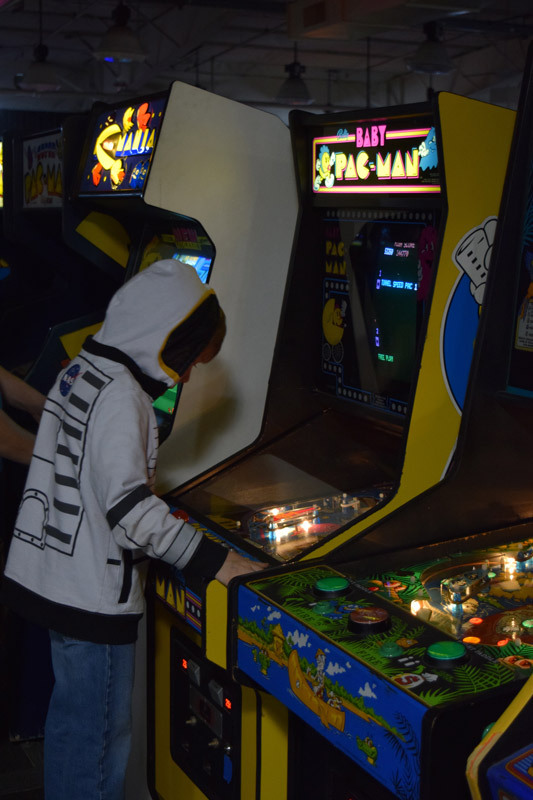 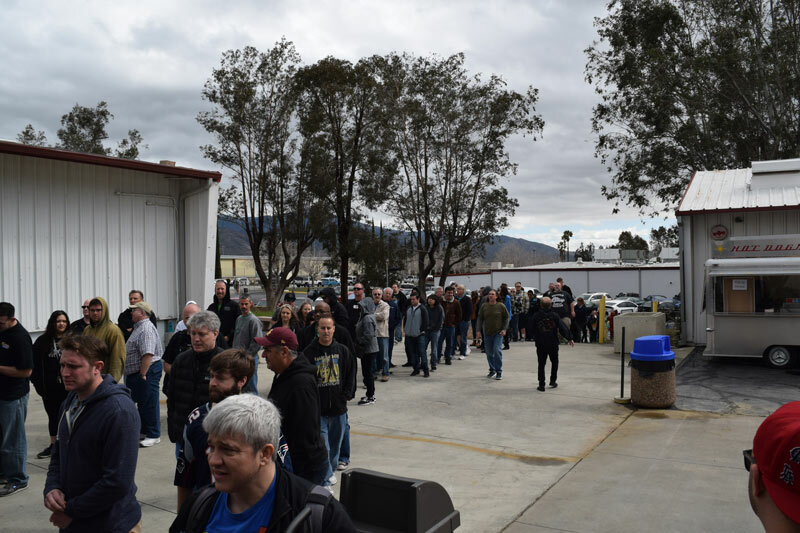 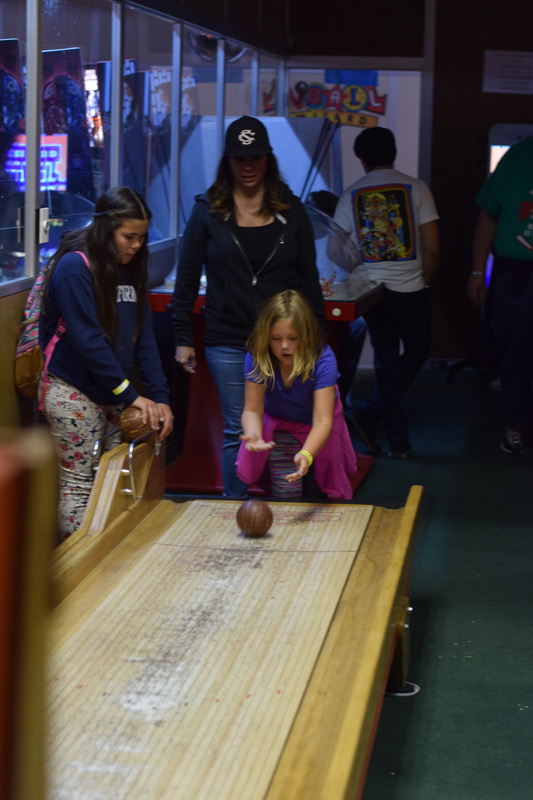 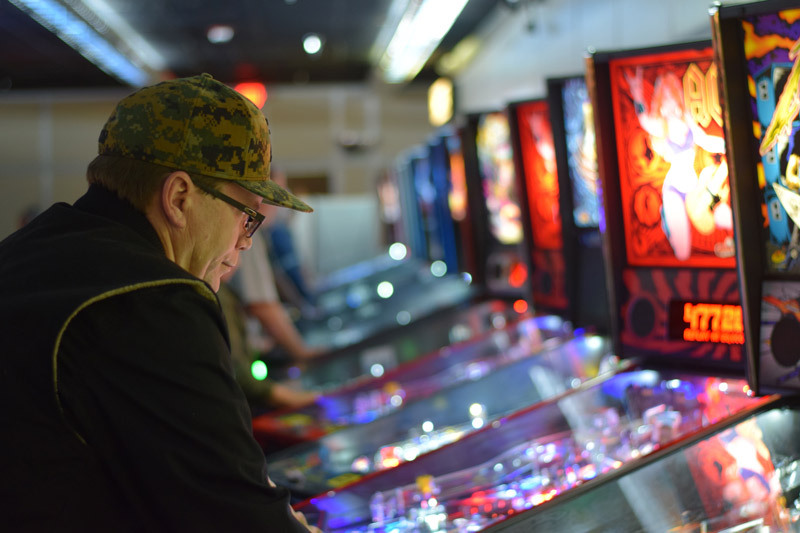 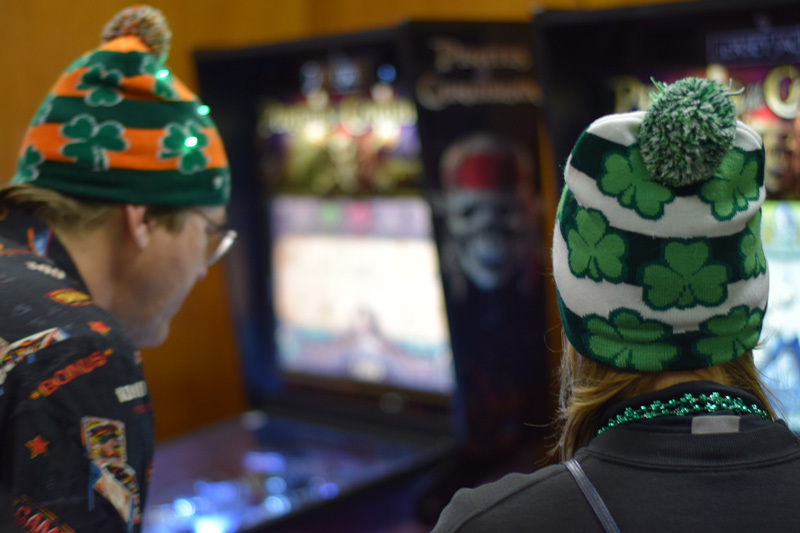 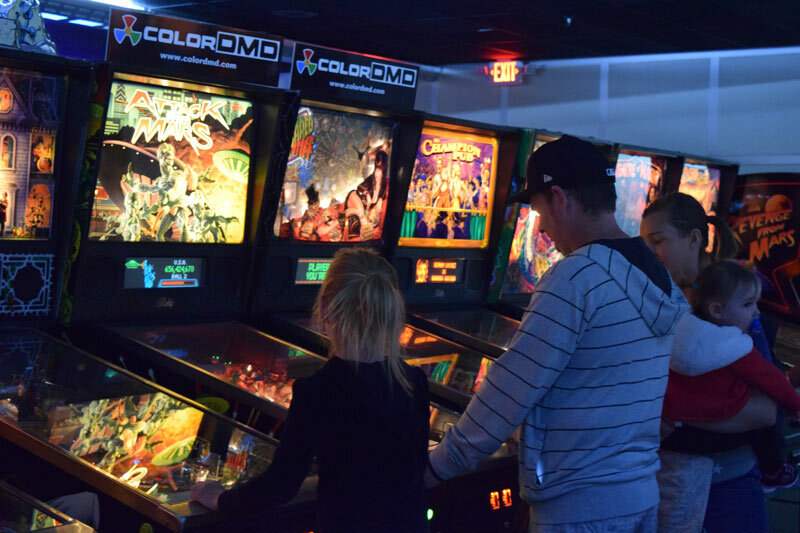 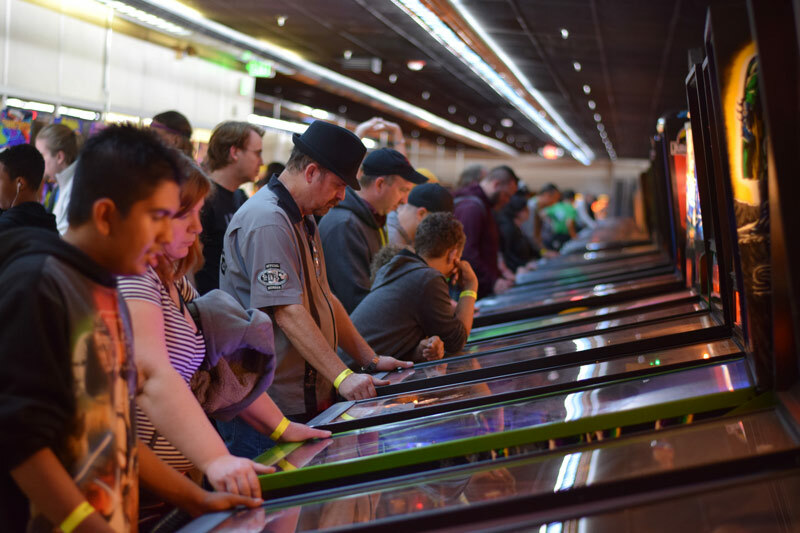 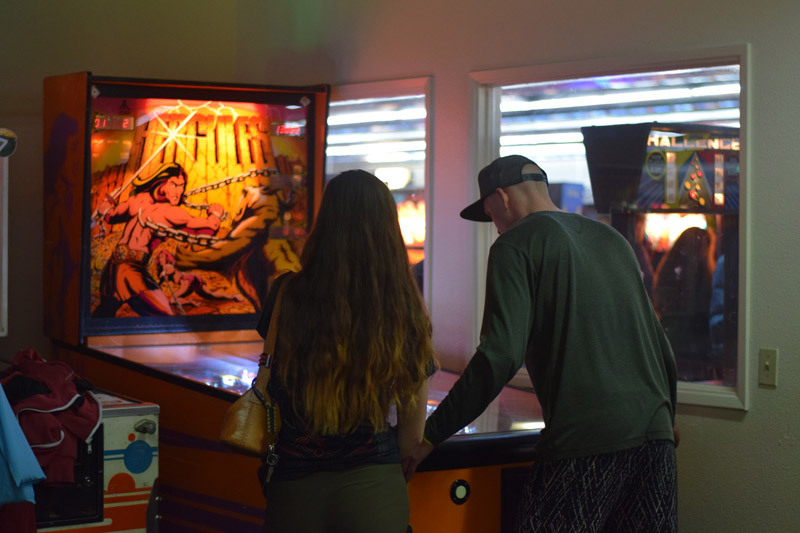 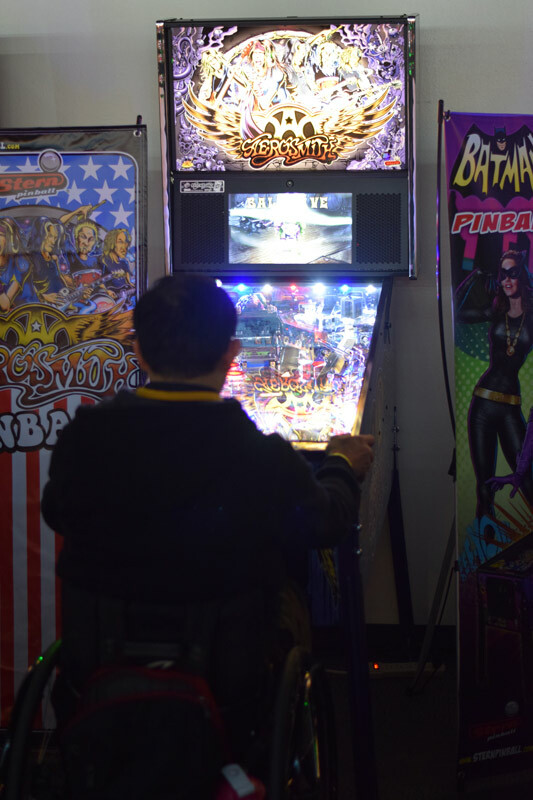 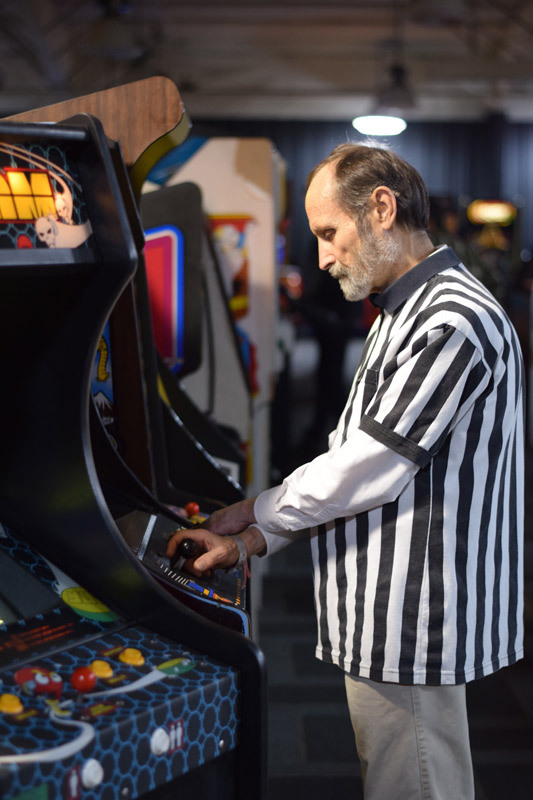 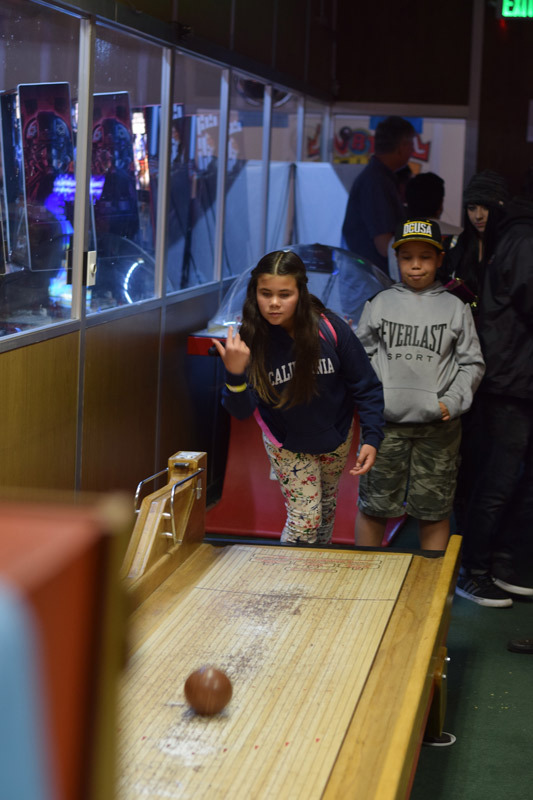 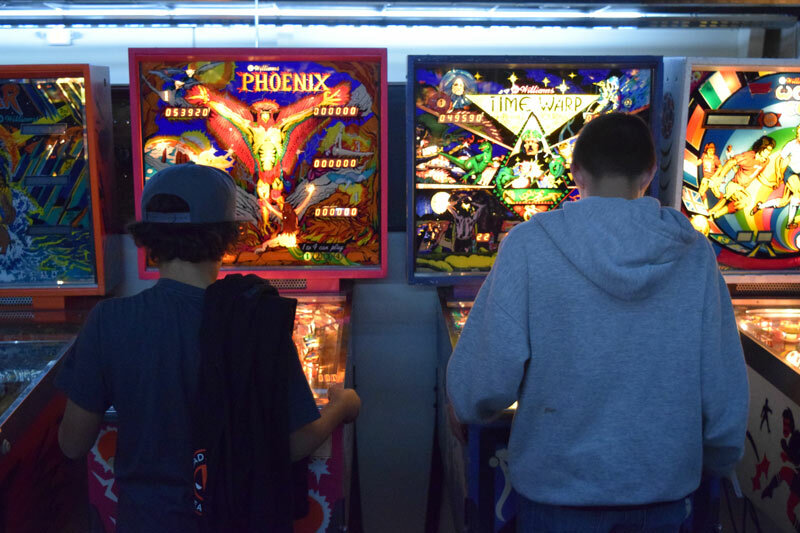 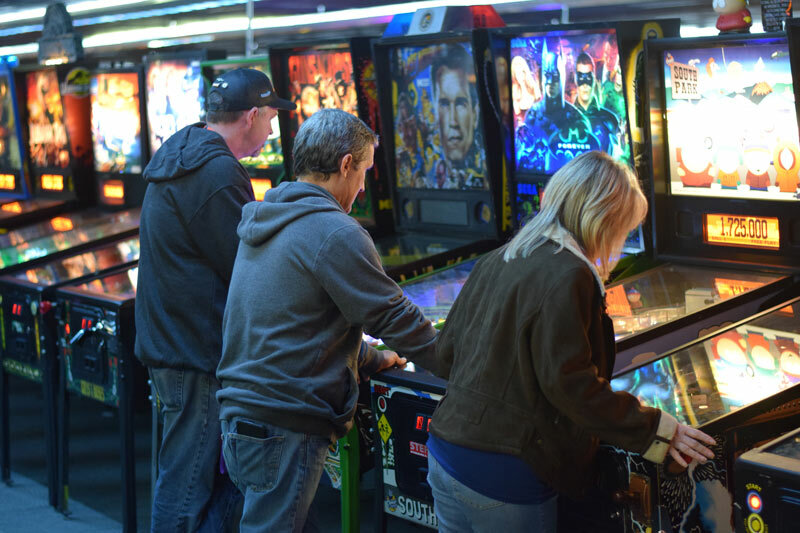 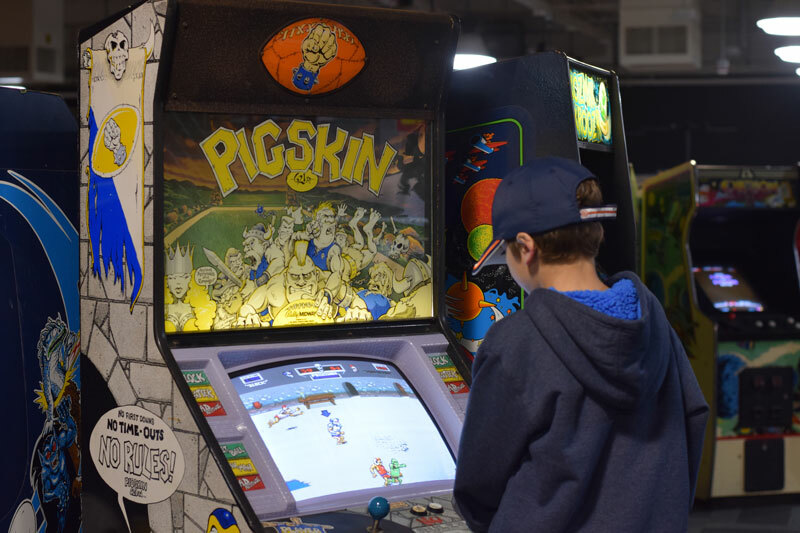 Over the weekend over 3,000 pinball and videogame enthusiast descended on the town of Banning California for Arcade Expo 4.0 at the Museum of Pinball. 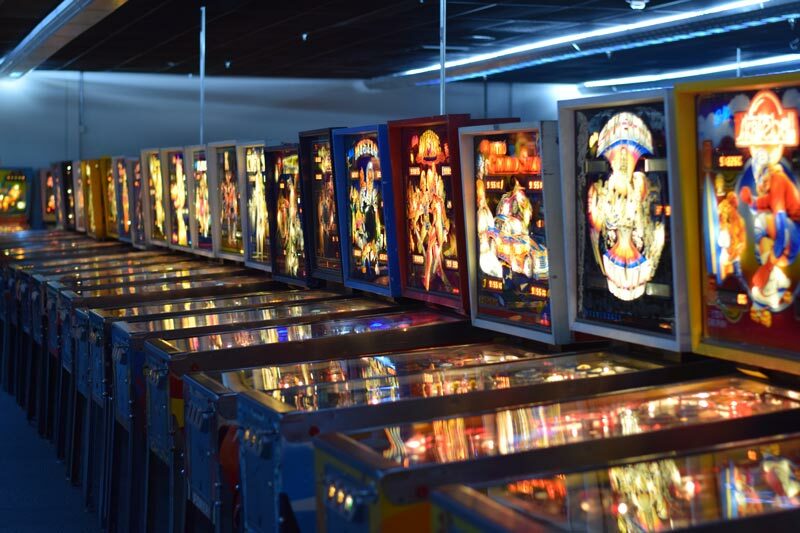 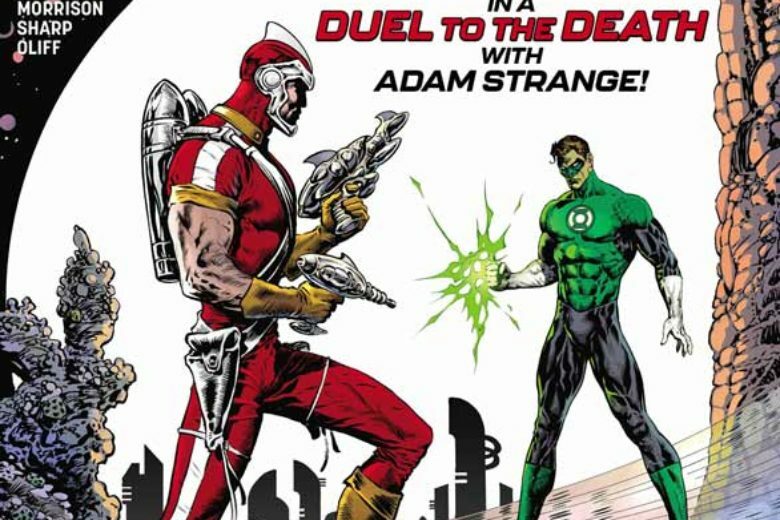 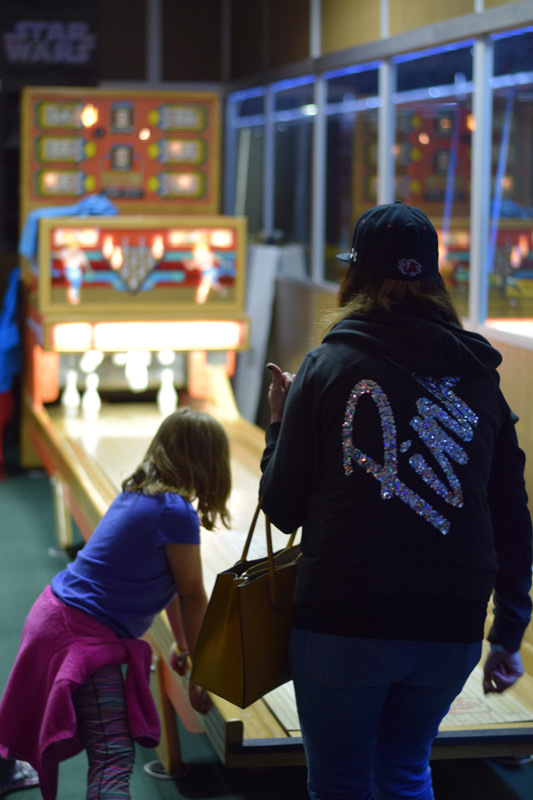 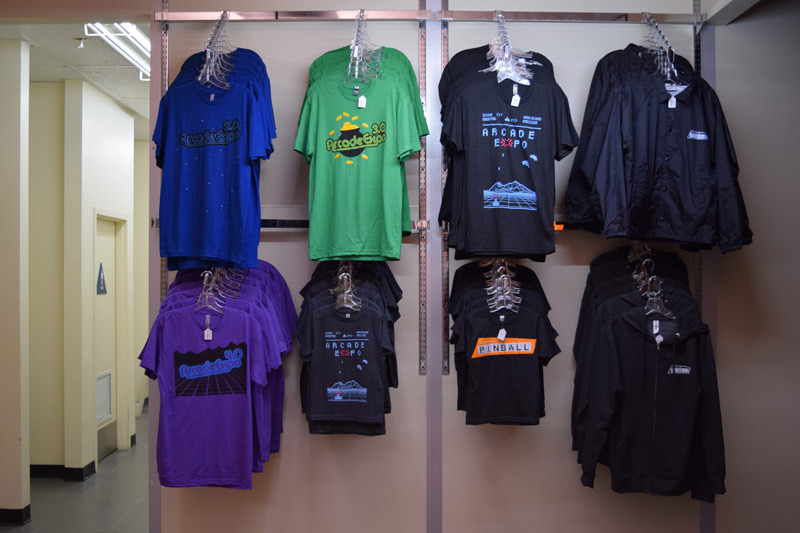 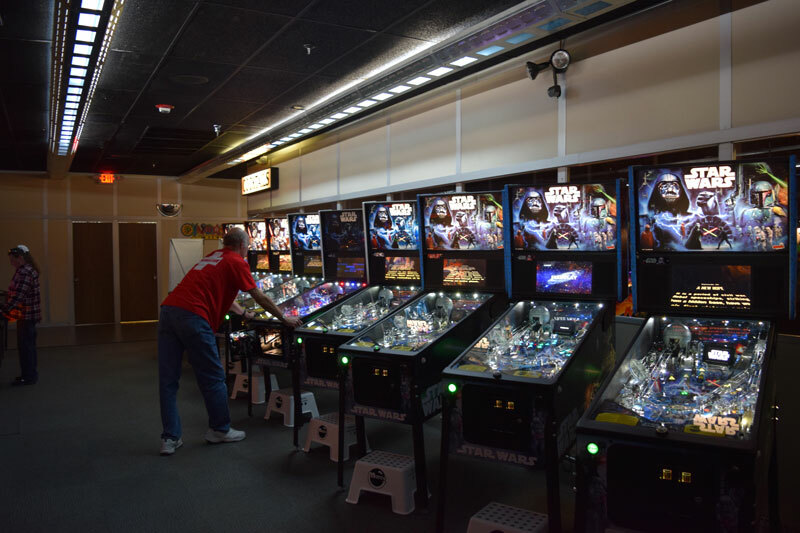 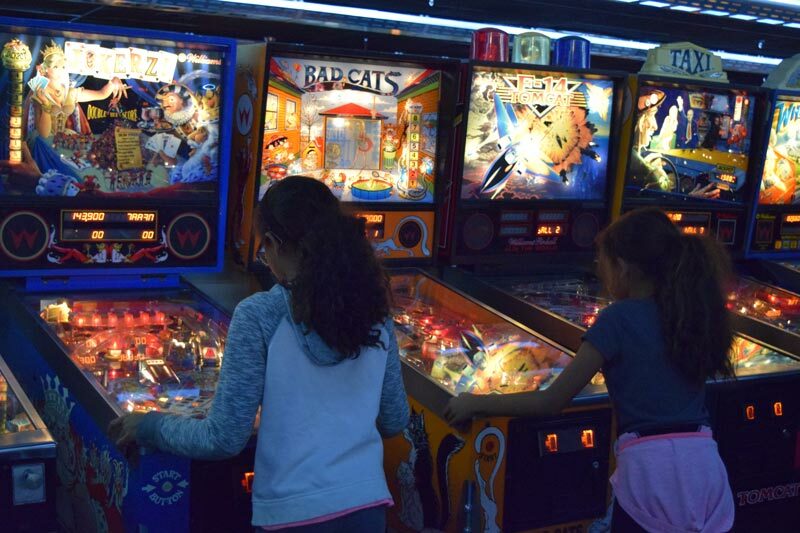 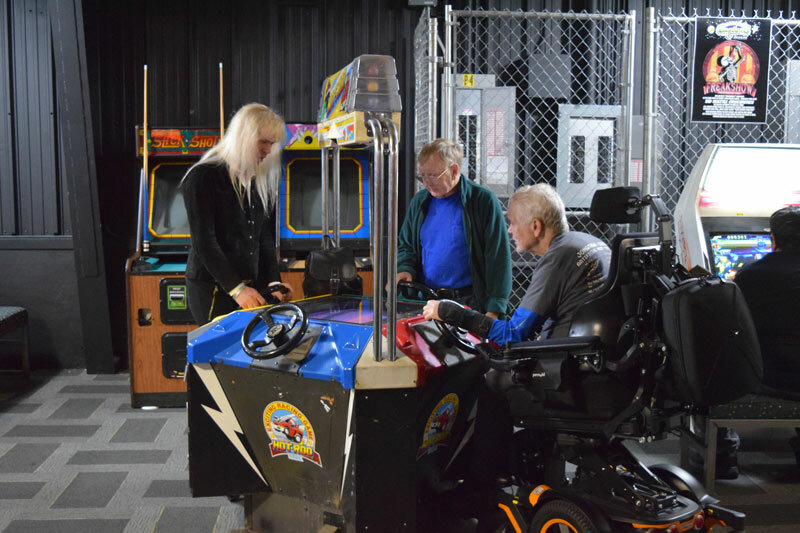 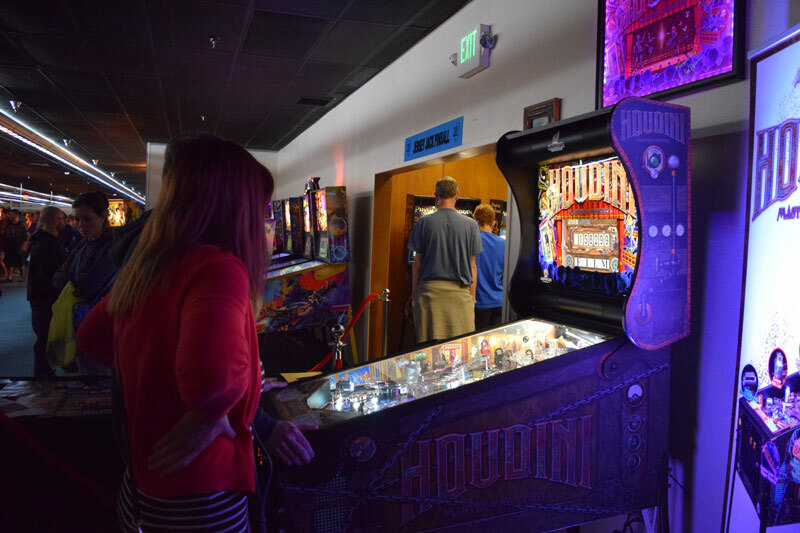 With over 1,000 game to play and some of the newest pinball machines from Jersey Jacks, Spooky Pinball, Stern and American Pinball there was something for everyone. 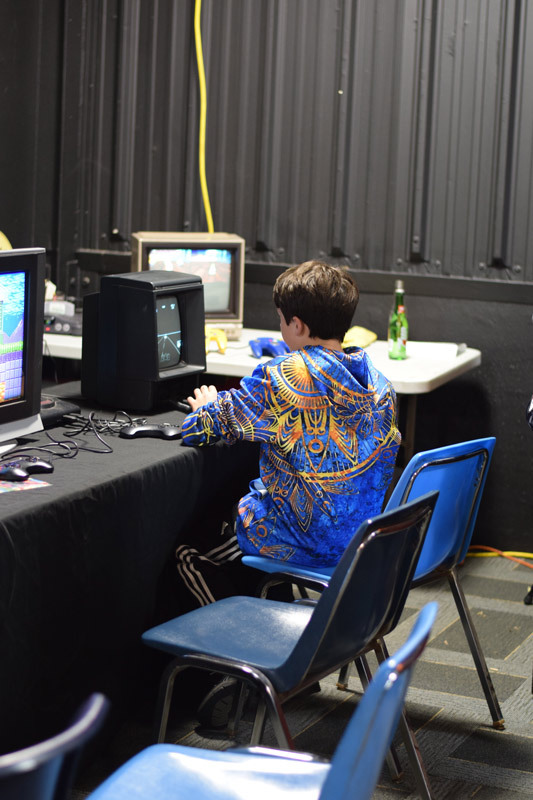 As with the past few shows I have volunteered as a technician for the event and along with about 50 others we try to make the show run as smooth as possible. 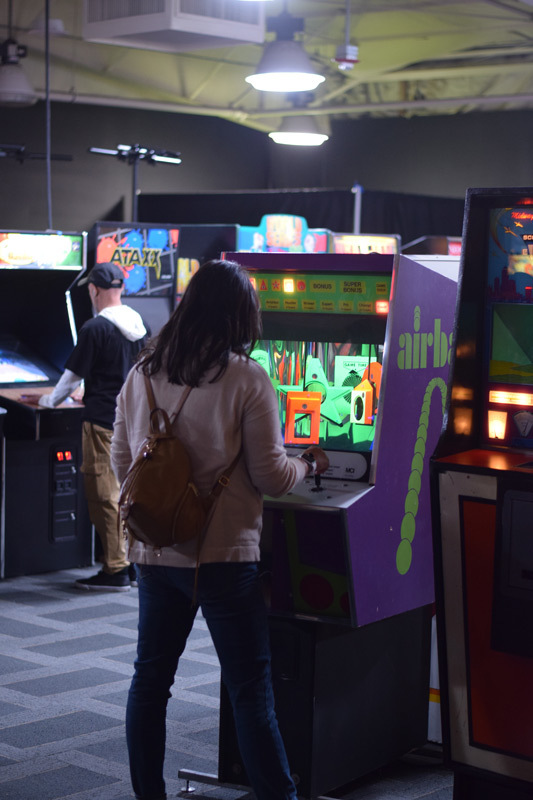 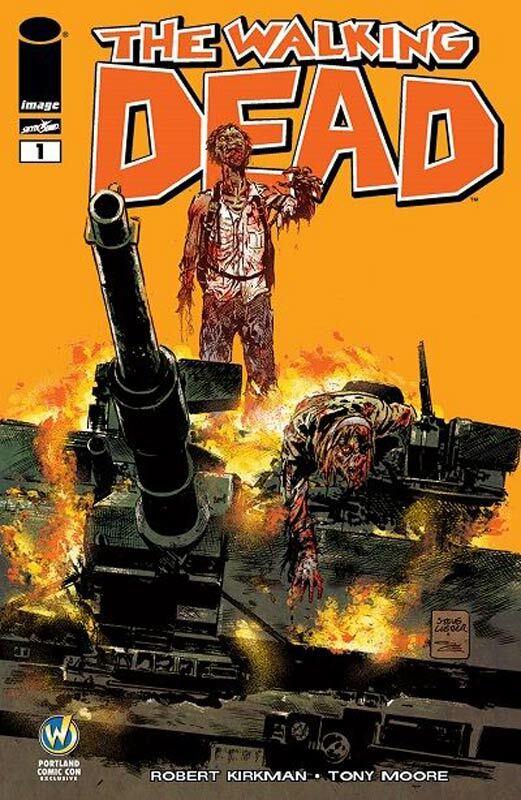 This show had the most working games to date and surprisingly most survived the weekend pretty well. 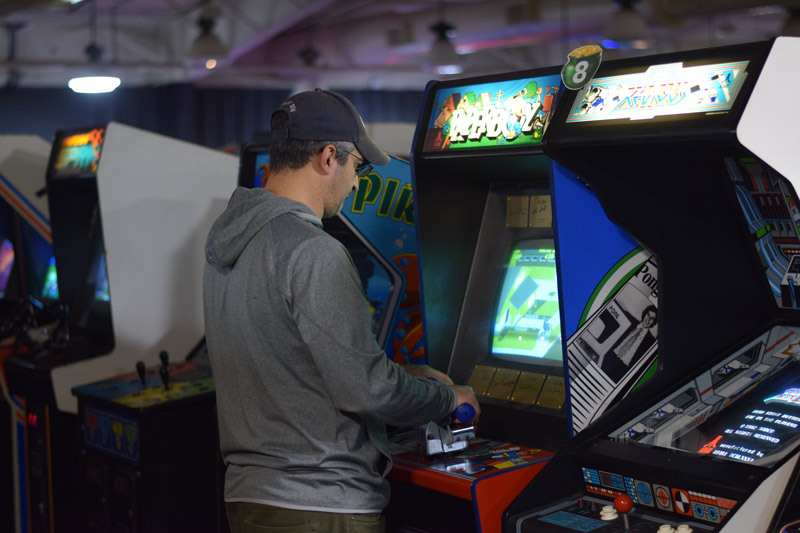 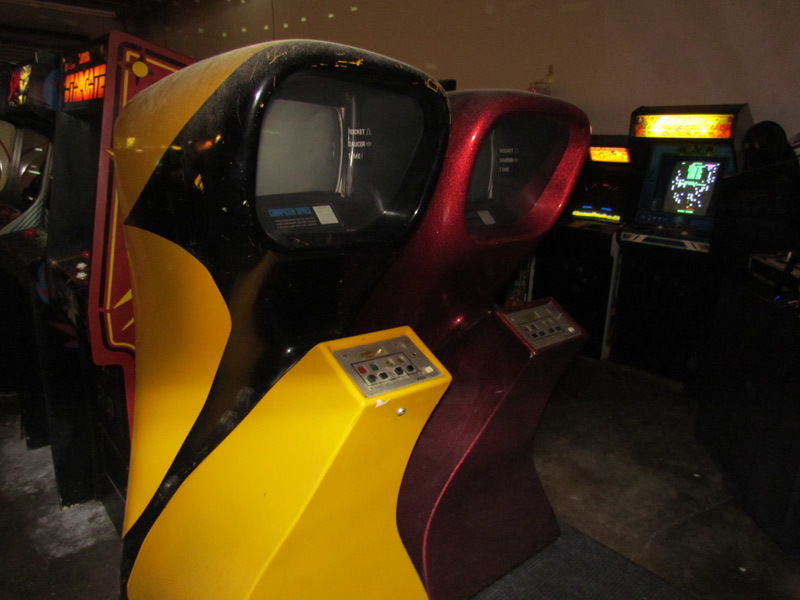 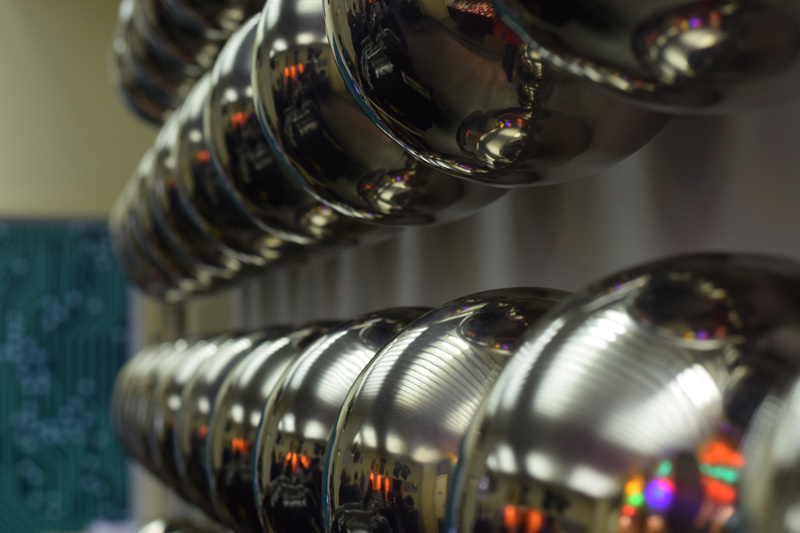 I mostly stayed on the videogame side of the show because there are more pinball technicians so it was simply a matter of keeping credits on the machines and trying to do a bit of cleaning as the show went along. 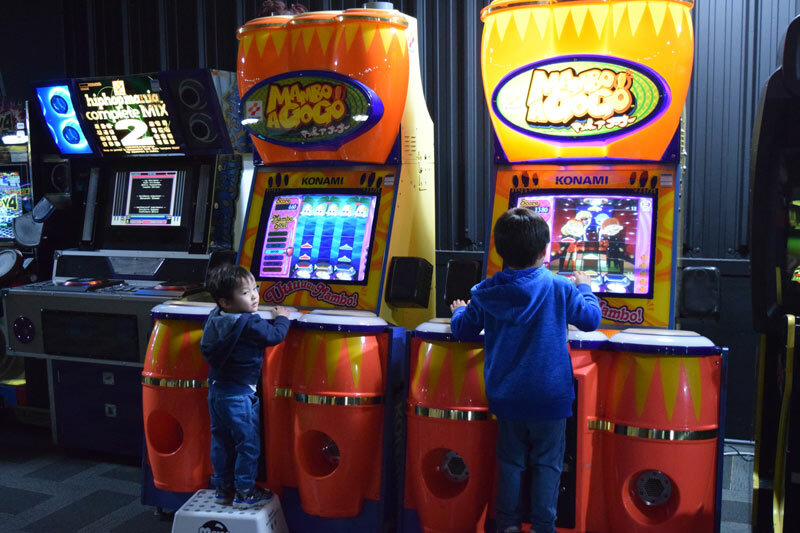 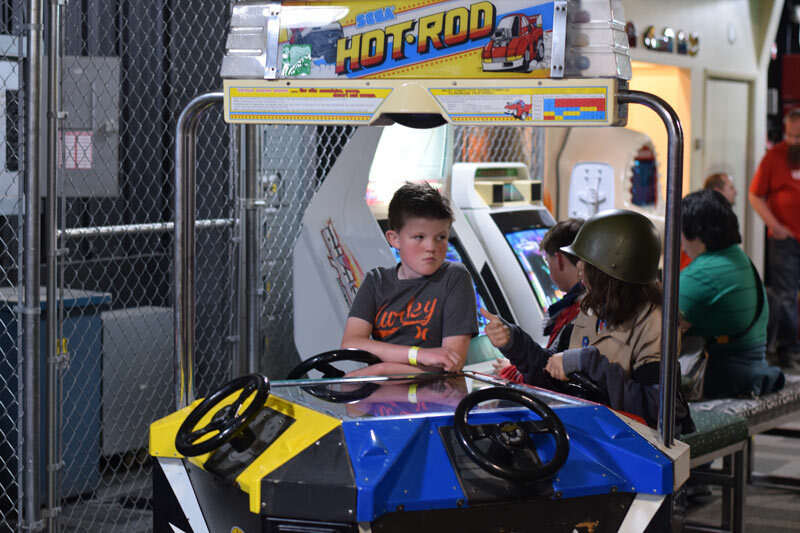 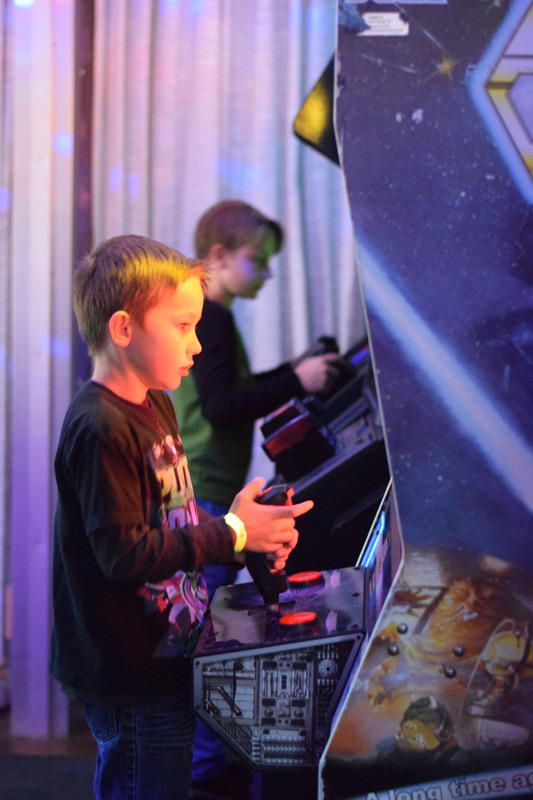 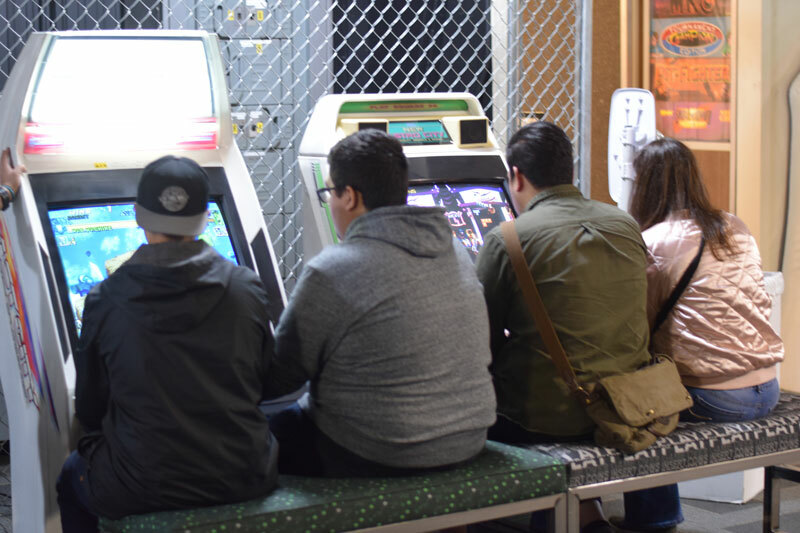 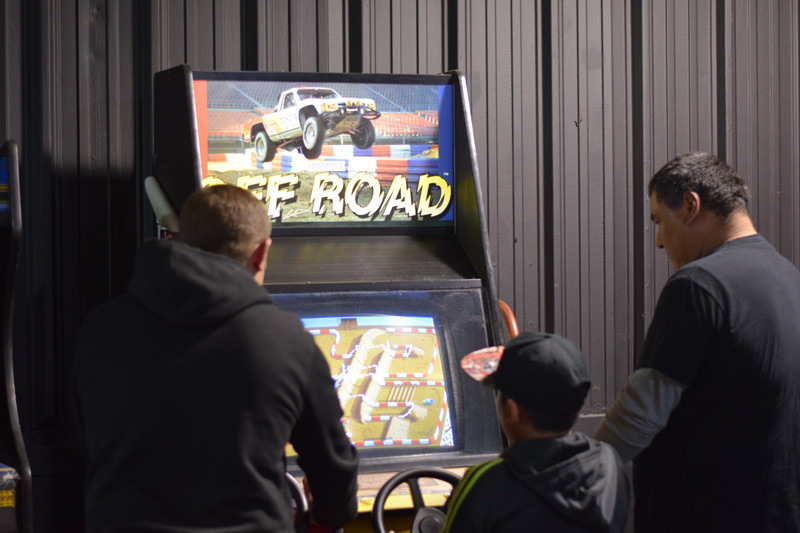 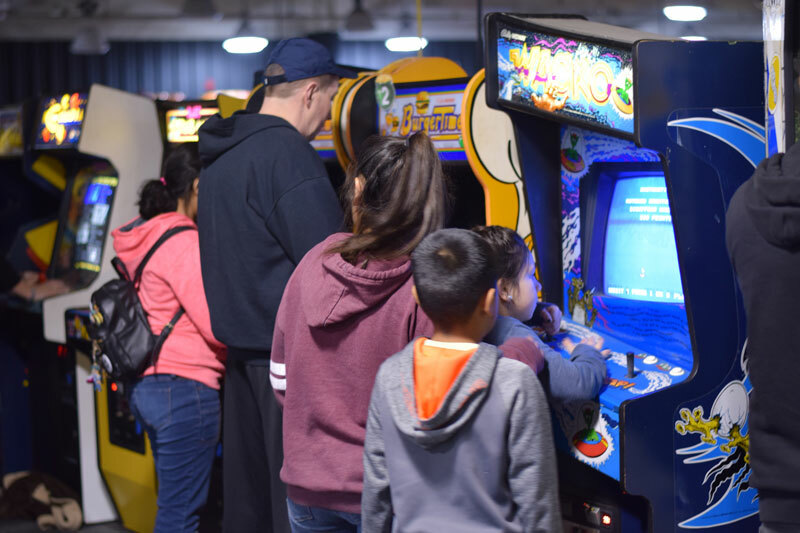 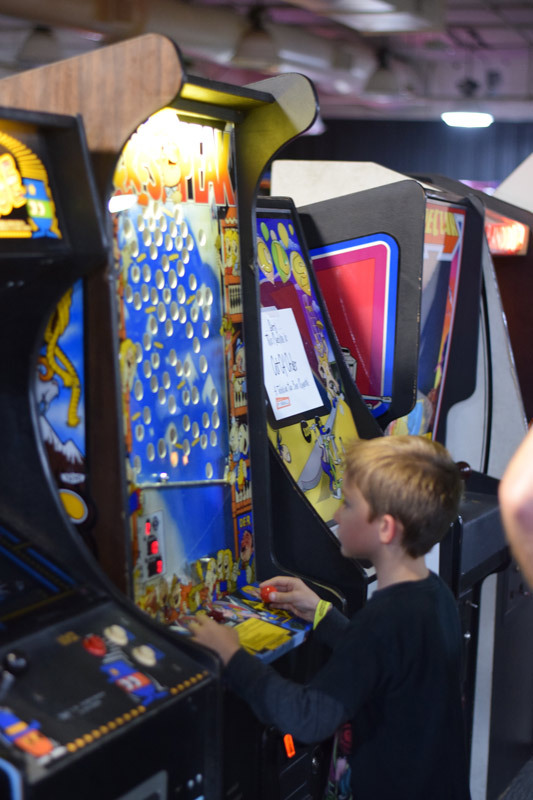 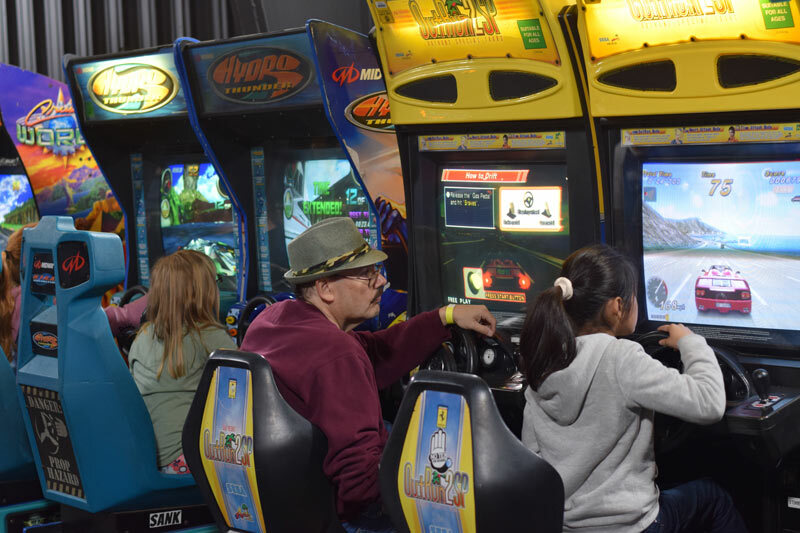 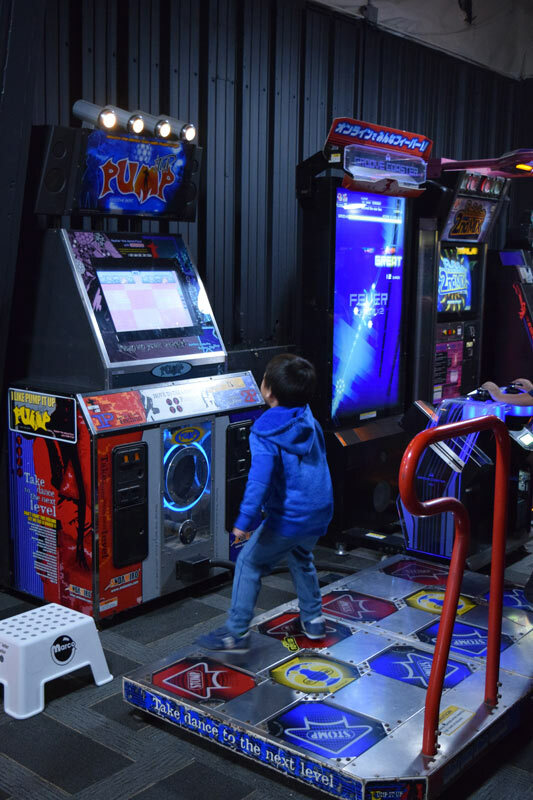 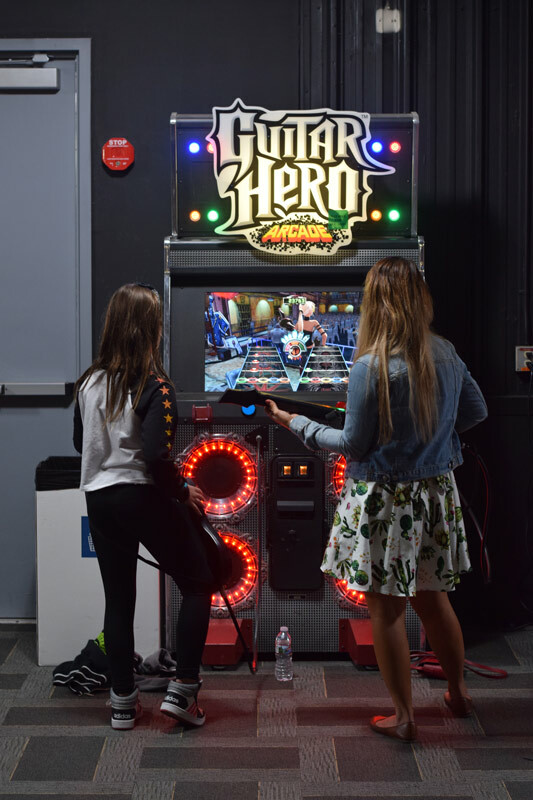 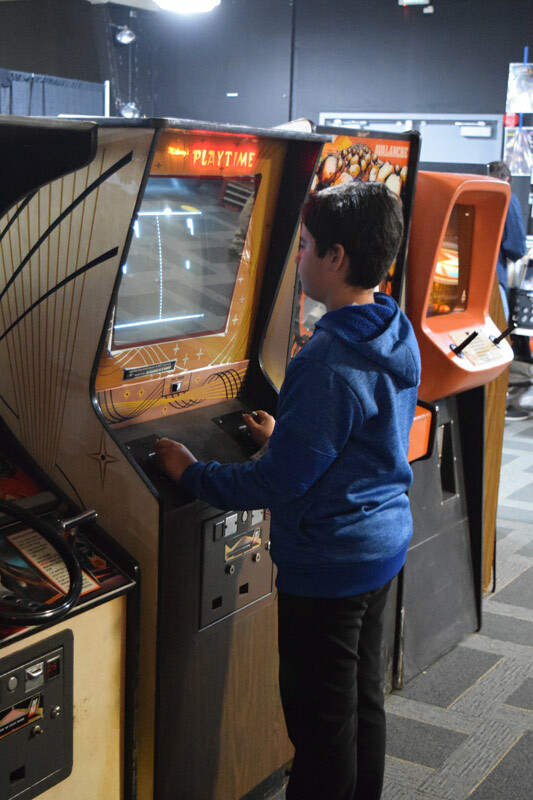 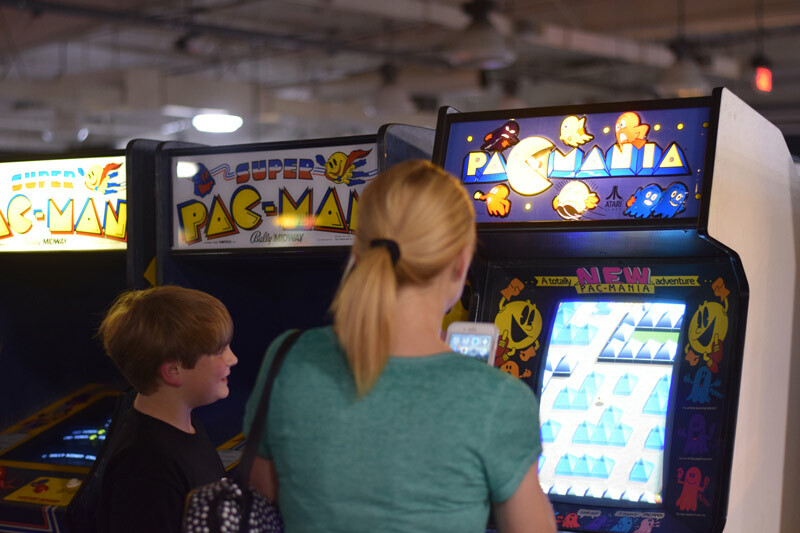 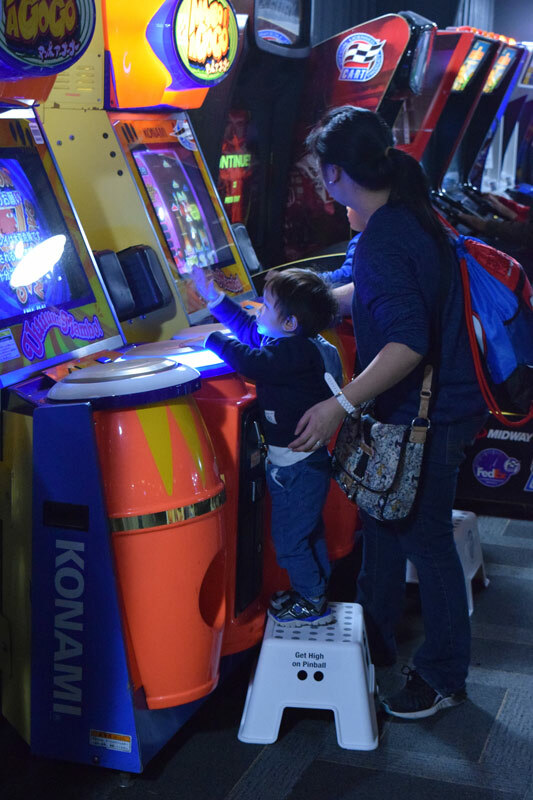 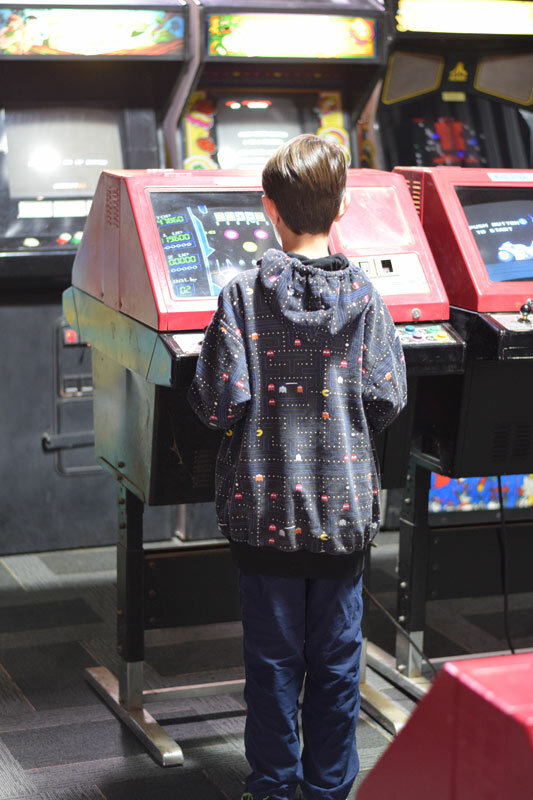 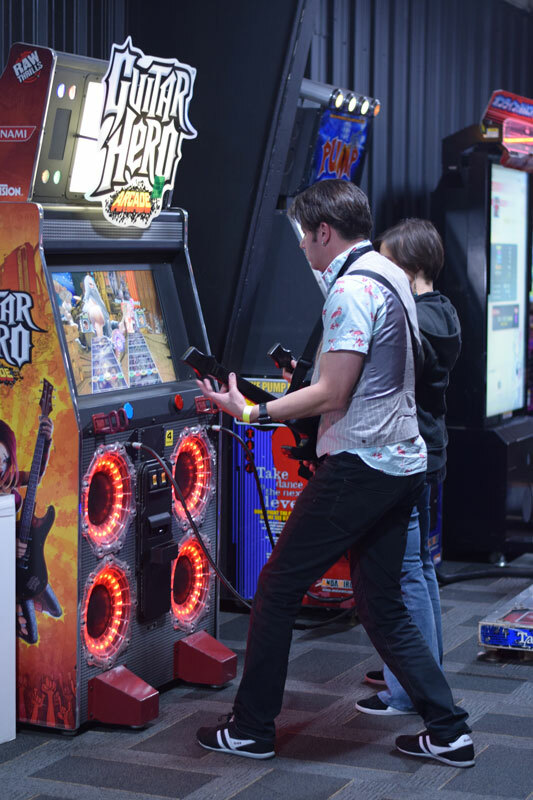 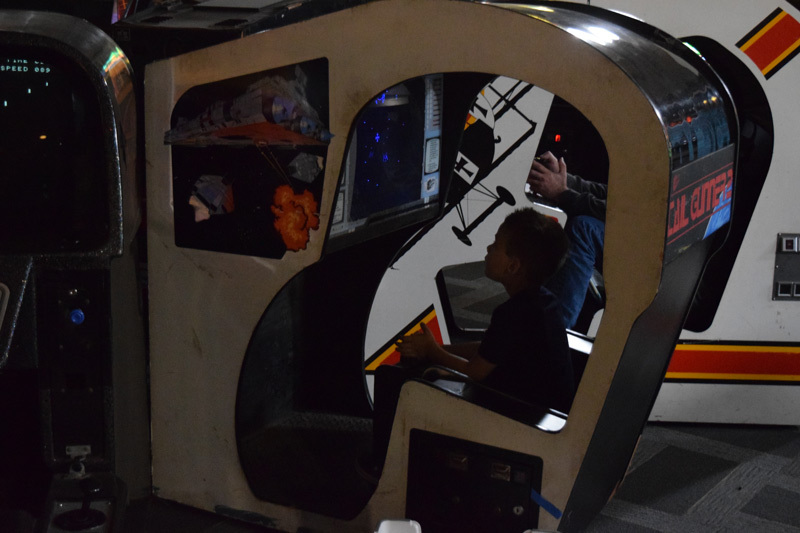 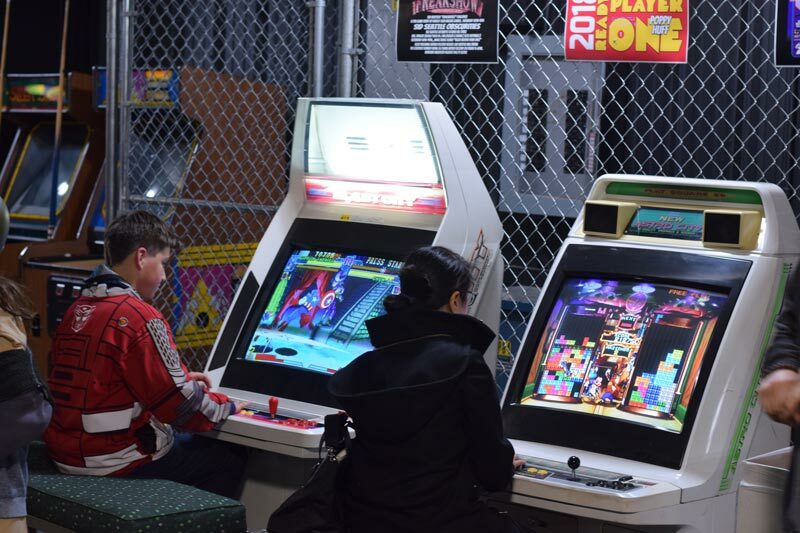 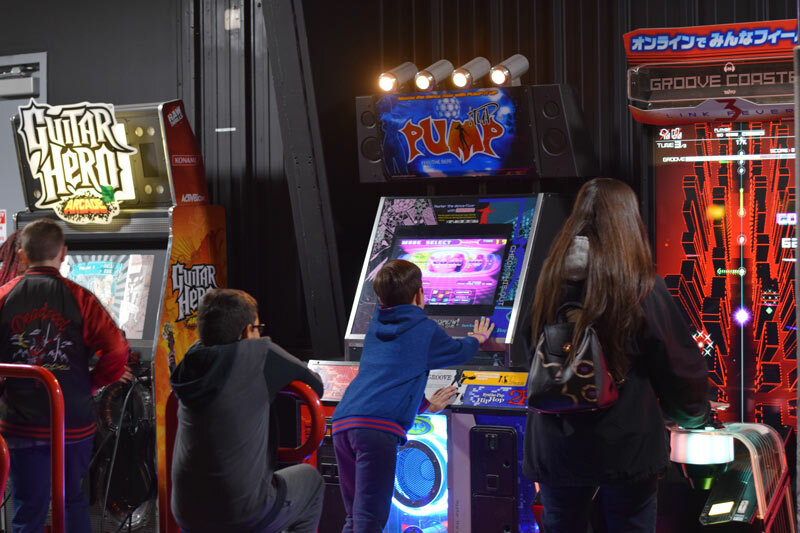 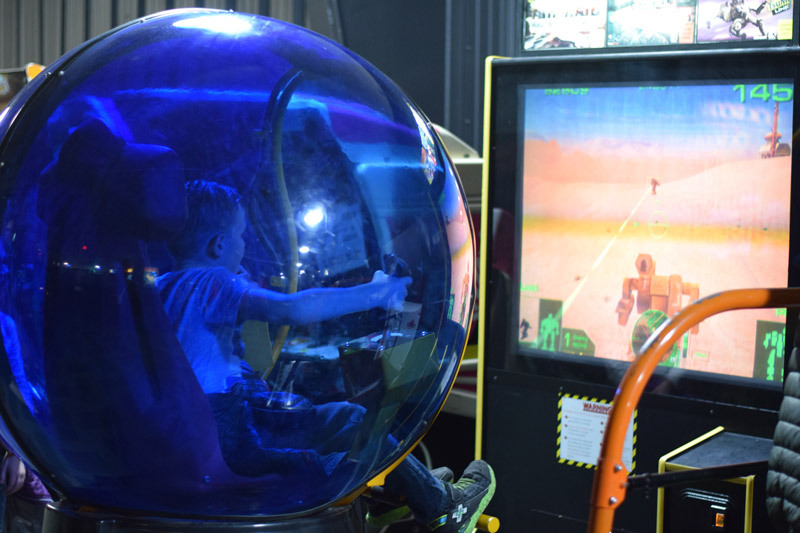 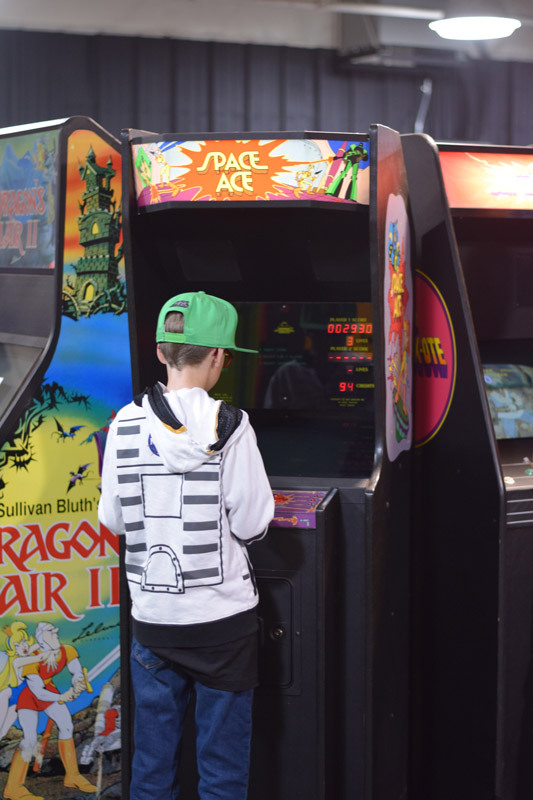 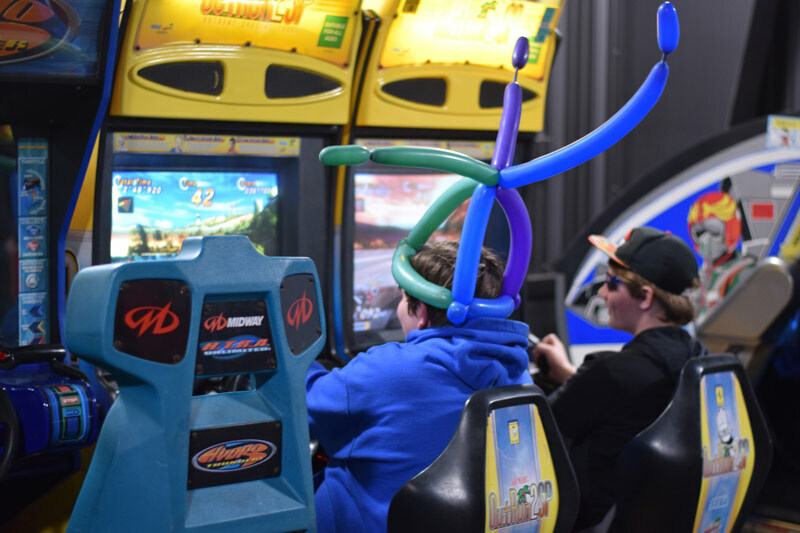 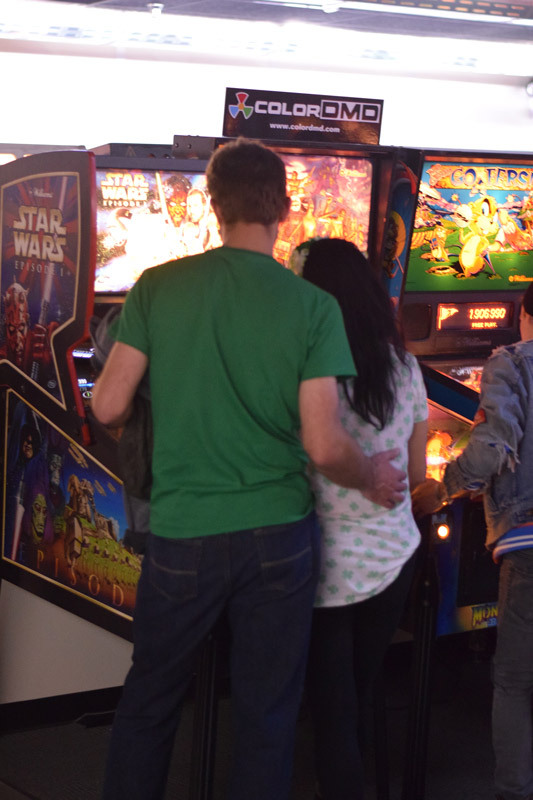 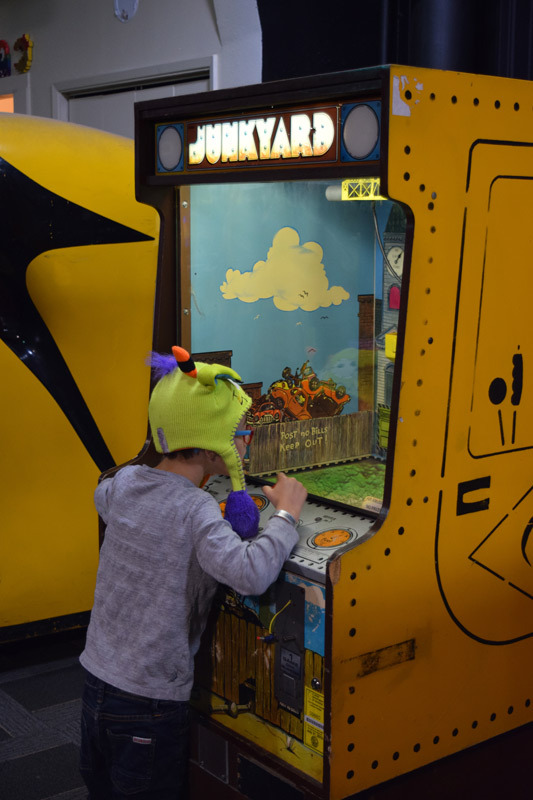 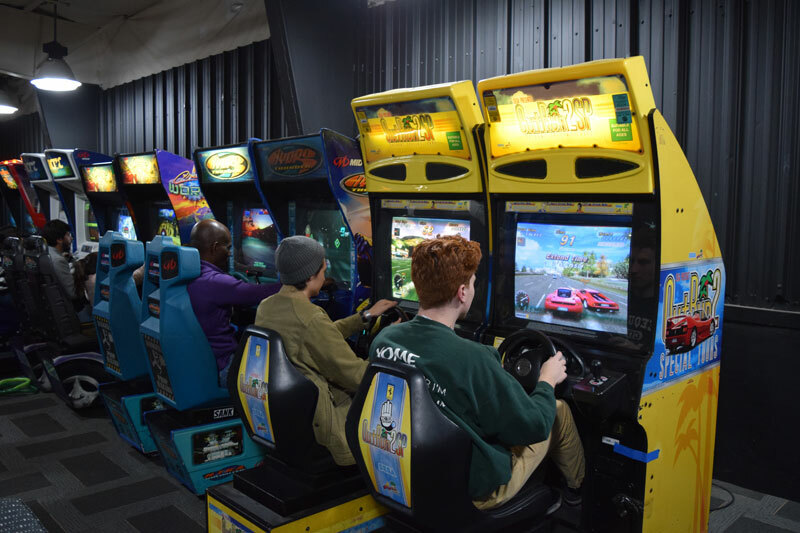 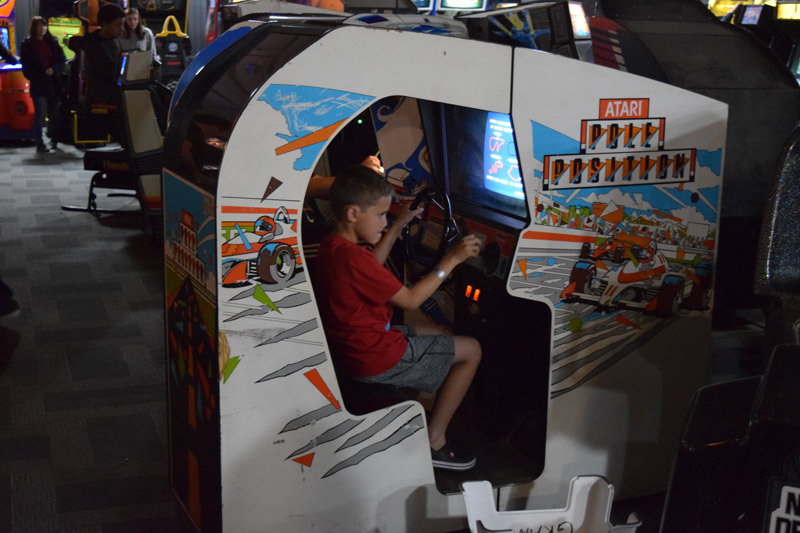 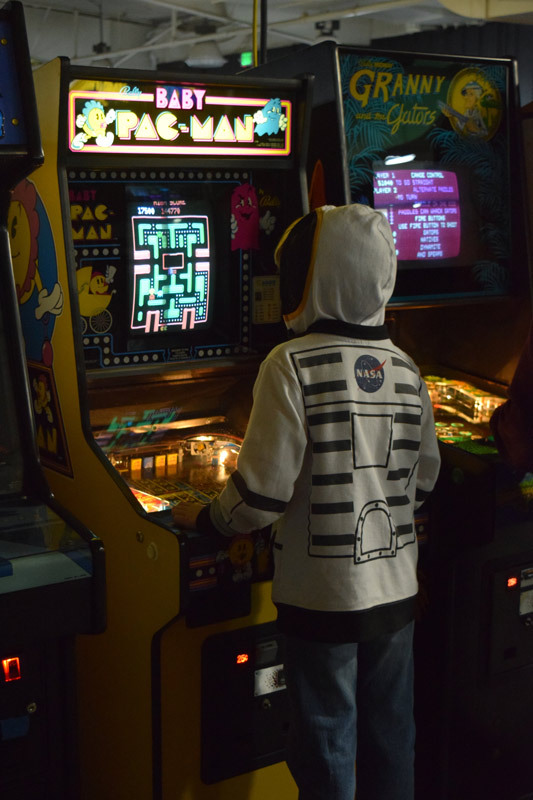 One of the best things about the show is that there are a lot of families that come to share their love of arcades with their kids and the have a blast. 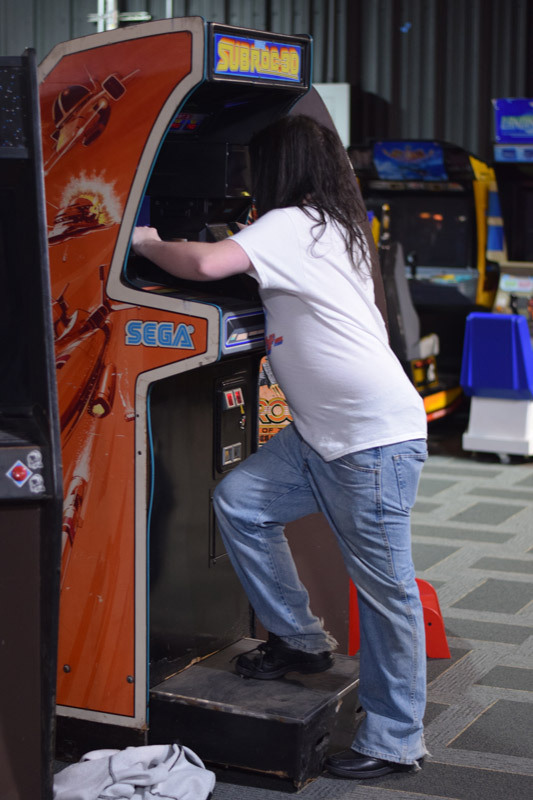 We have step stools to help the really young and they carry them around like a badge of a seasoned gamer. 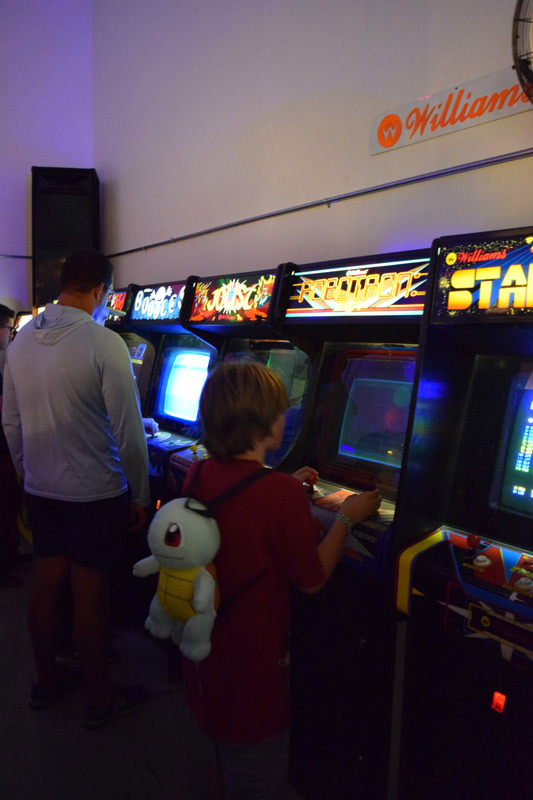 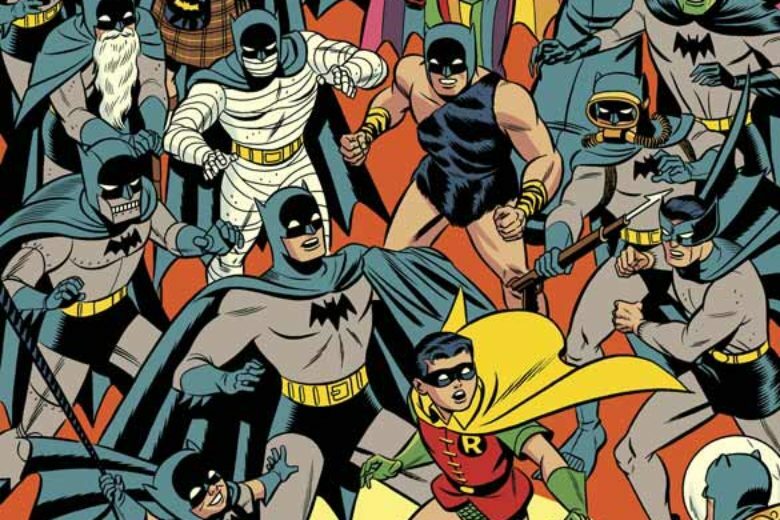 To get to see the new generation to discover what we loved about growing up in arcades. 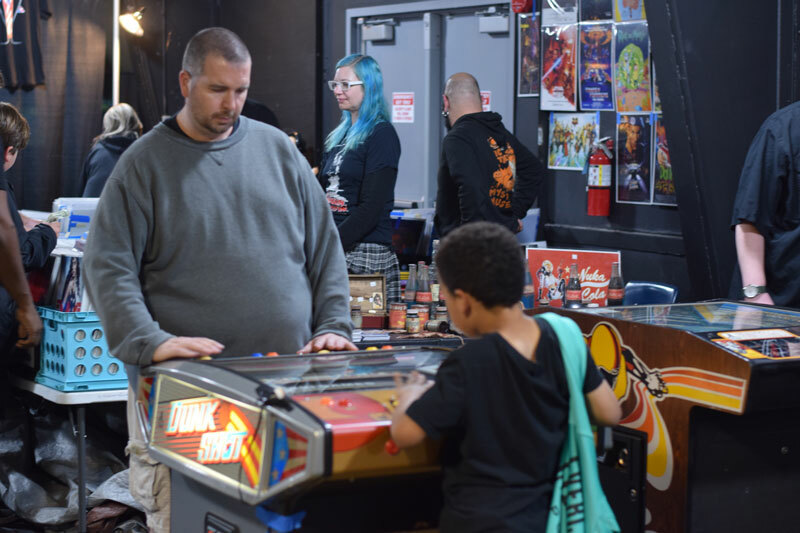 One of the biggest surprises of the show was the addition of the newer companies in the pinball arena. 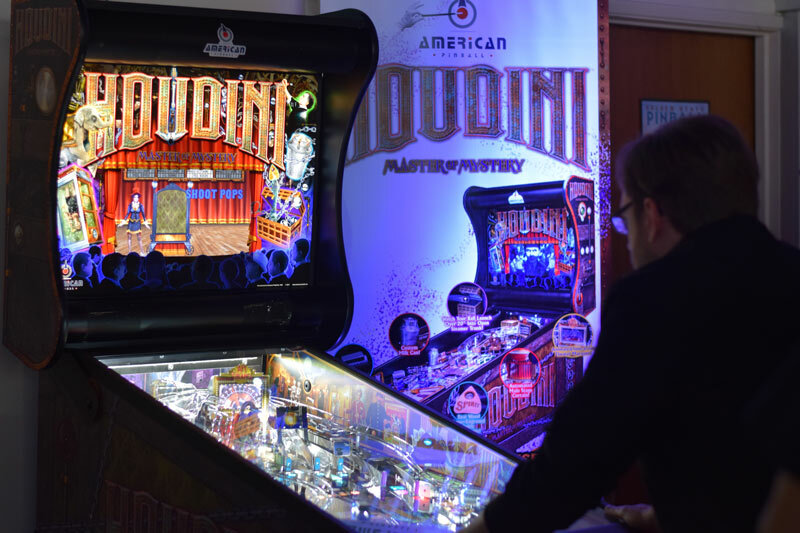 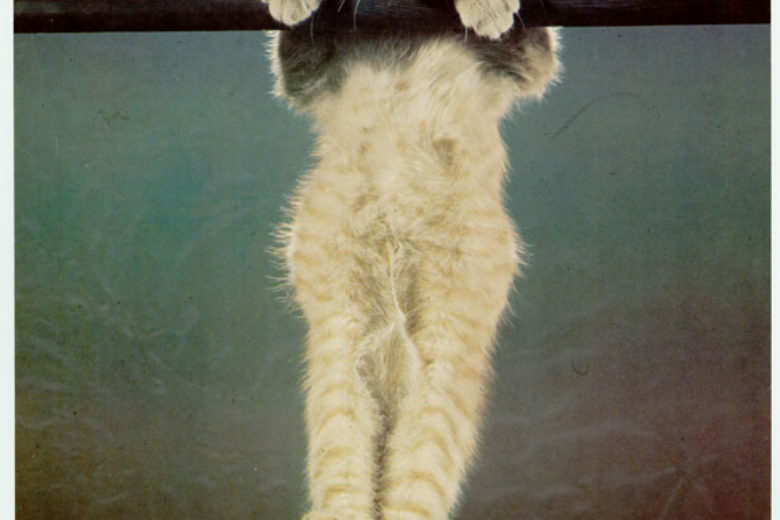 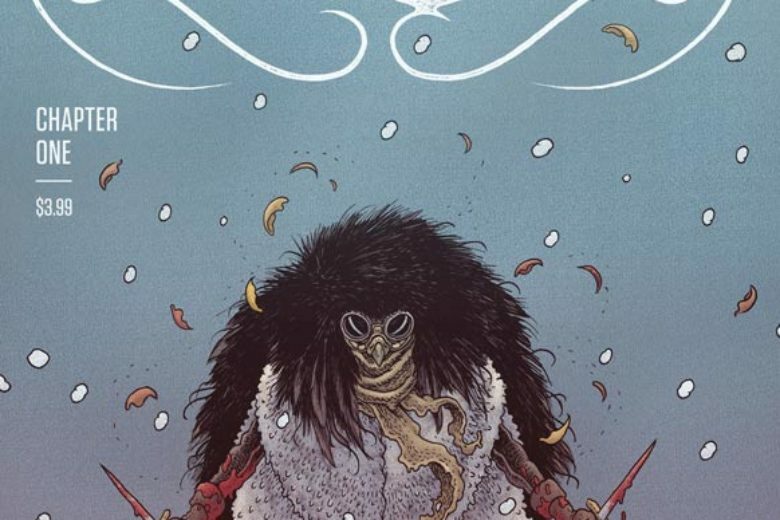 There was a strong showing of them all but it was Houdini that stole the show and the only time there wasn’t somebody playing the game was when it went down. 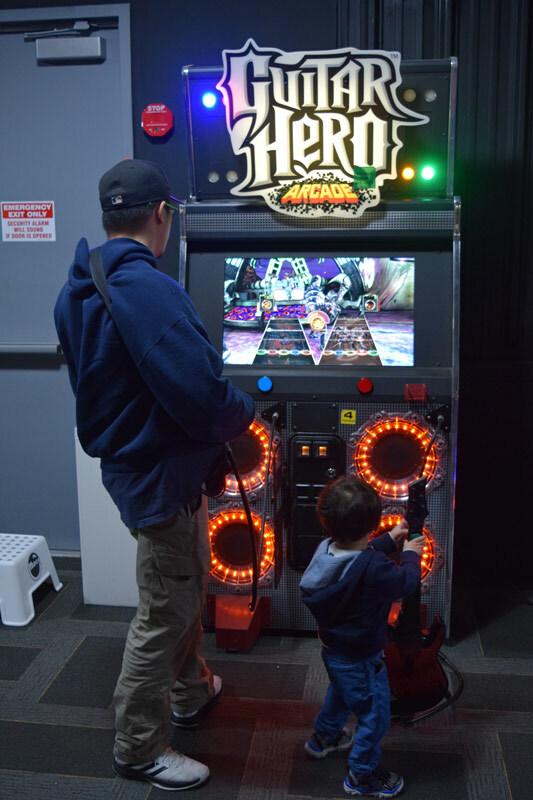 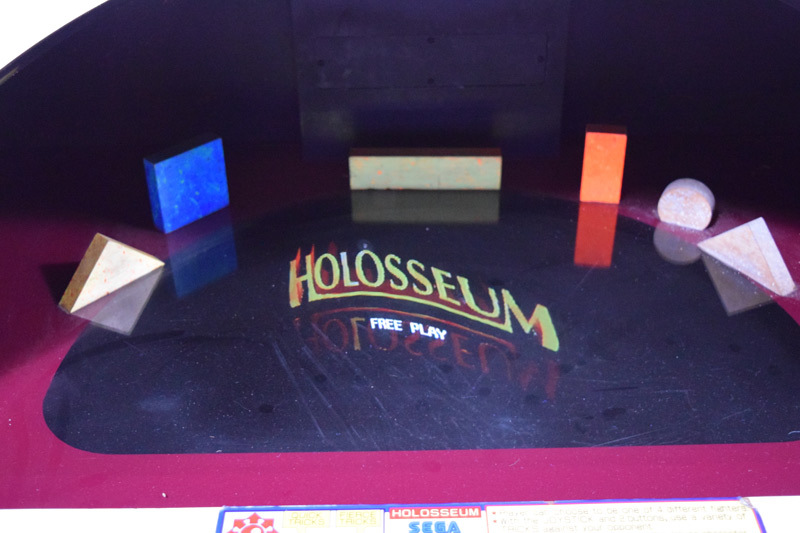 Still being a prototype machine there were some minor glitches but it played surprisingly well and had a nice layout of the play field. 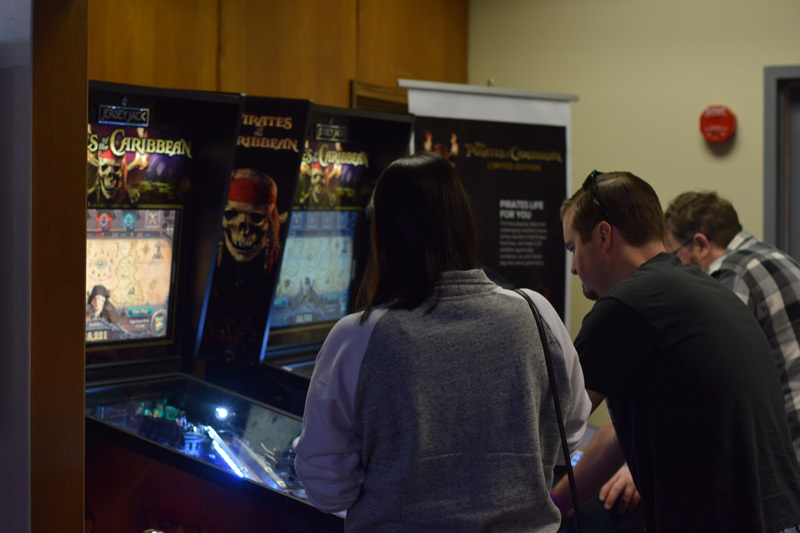 It was nice to finally see the Jersey Jack Pinball come to the Museum and while the new Pirates of the Caribbean was super busy, I really enjoyed Dailed In that I hadn’t played even though its been out for a while. 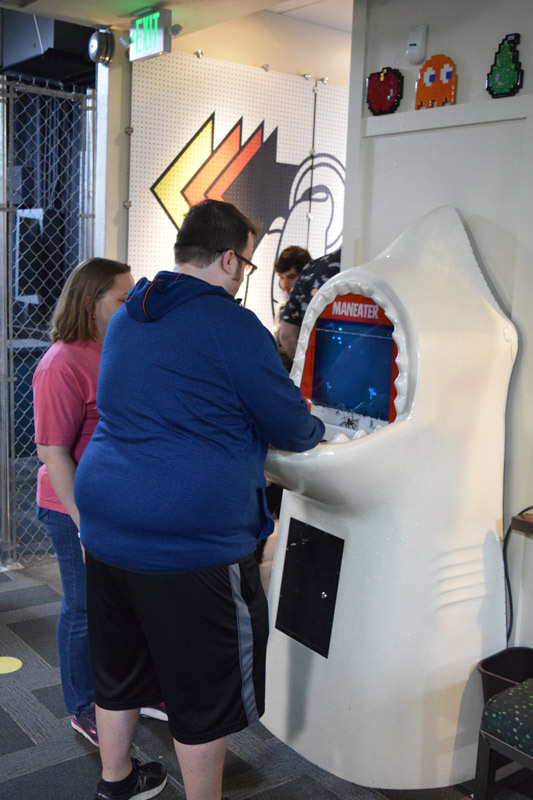 I did download the remote phone app to control the flippers and it was an interesting novelty it is better playing it the normal way. 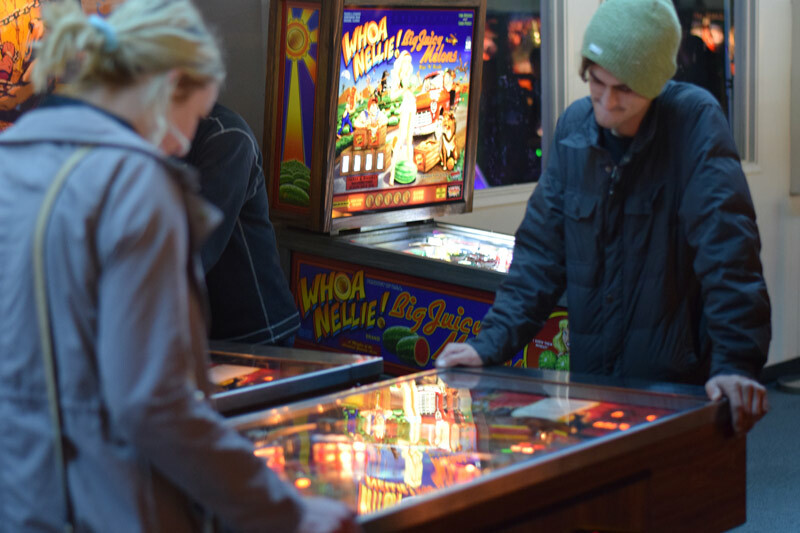 The one thing that was a huge improvement was the food that was a big step up from the mediocre hot dog stand. 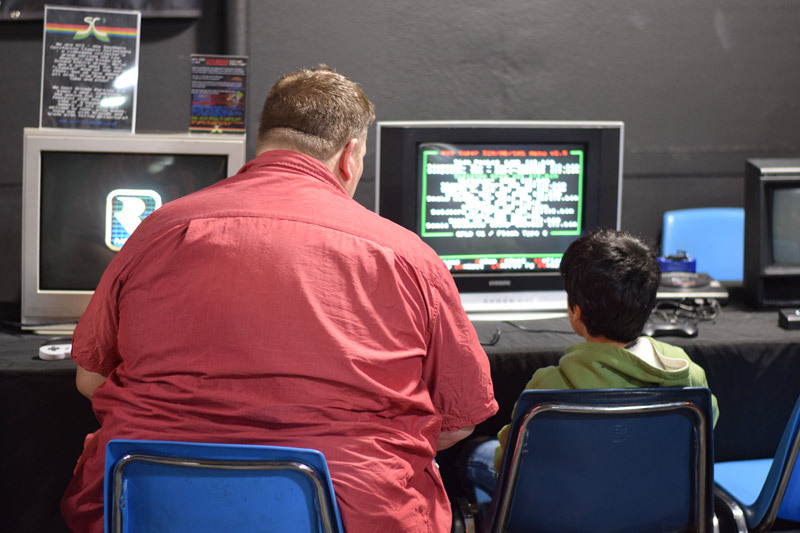 The hamburgers and fries were quite good. 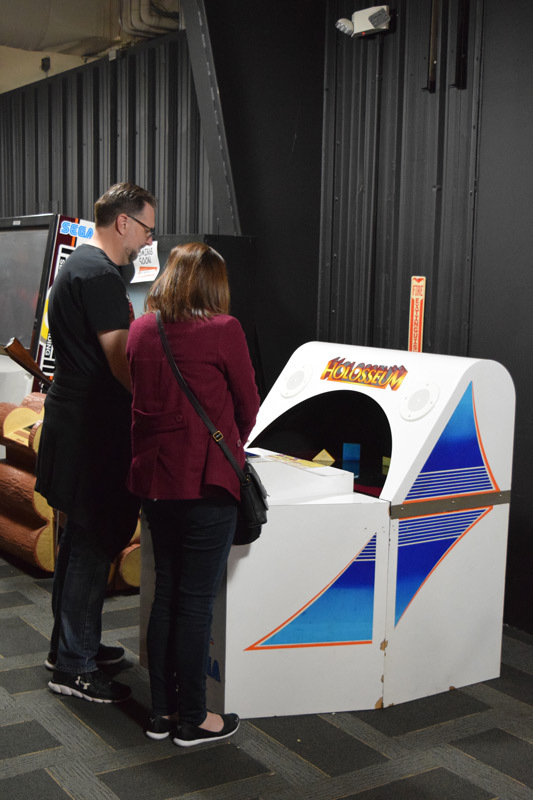 The first batch of pizzas on Friday were a bit overdone but I heard that they got the cooking down for the rest of the show. 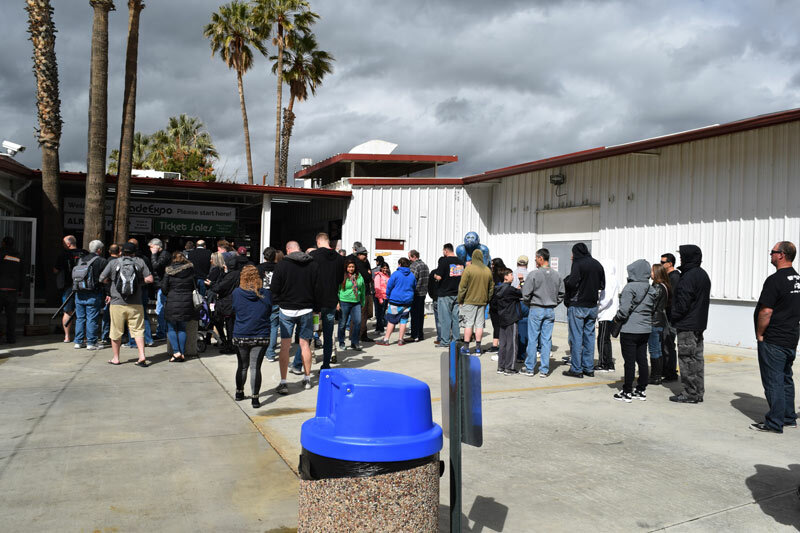 The funnel cake was delicious and there was a micro brew beer on tap that was a big hit. 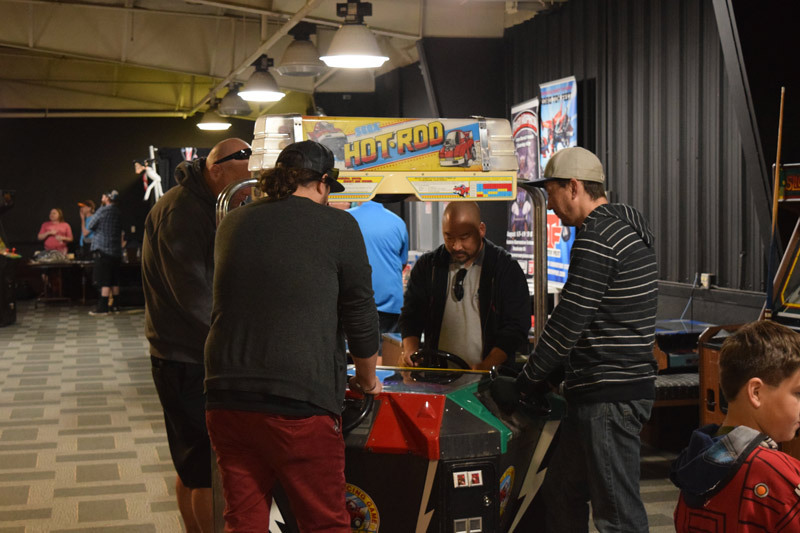 There was an auction of both pinball and video games that was a big hit with some bargains to be had. 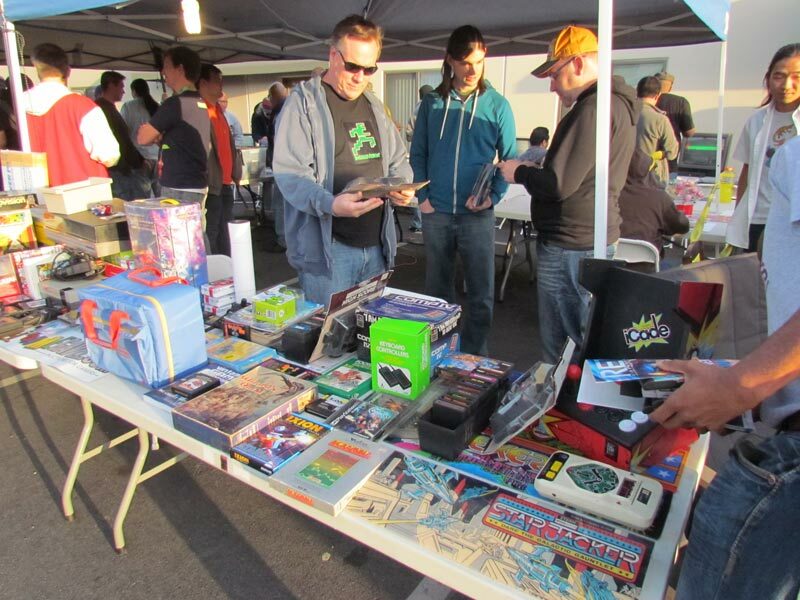 There was a swap meet area that had some home console games and toys. 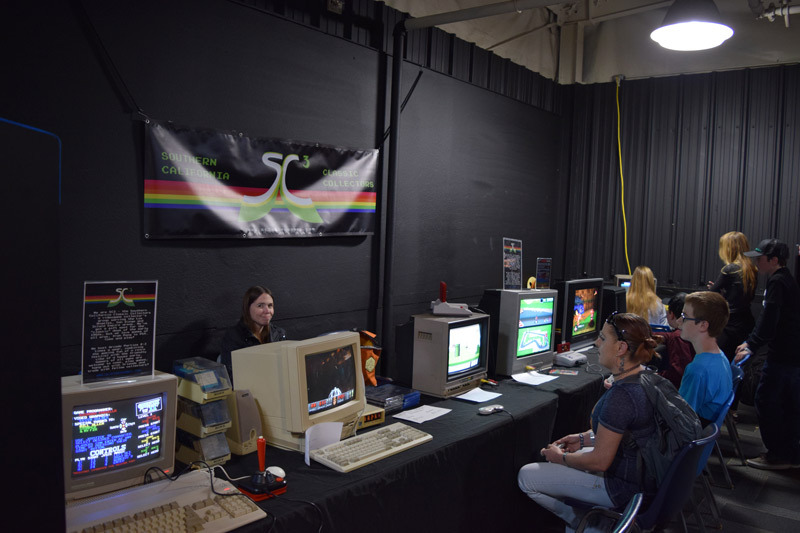 Both Retro City Festival and SC3 were at the show that was good to see them again. 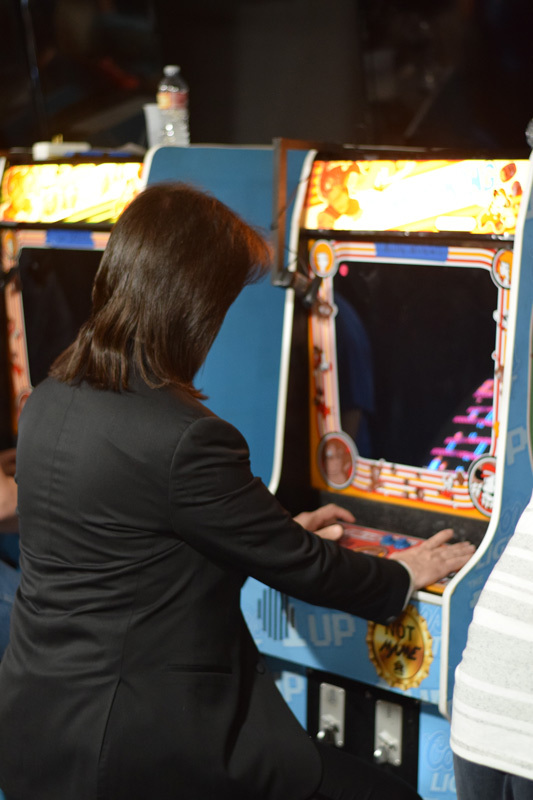 There were both pinball and video game tournaments that went very well and both Walter Day and Billy Mitchell were in the house for the Donkey Kong tournament. 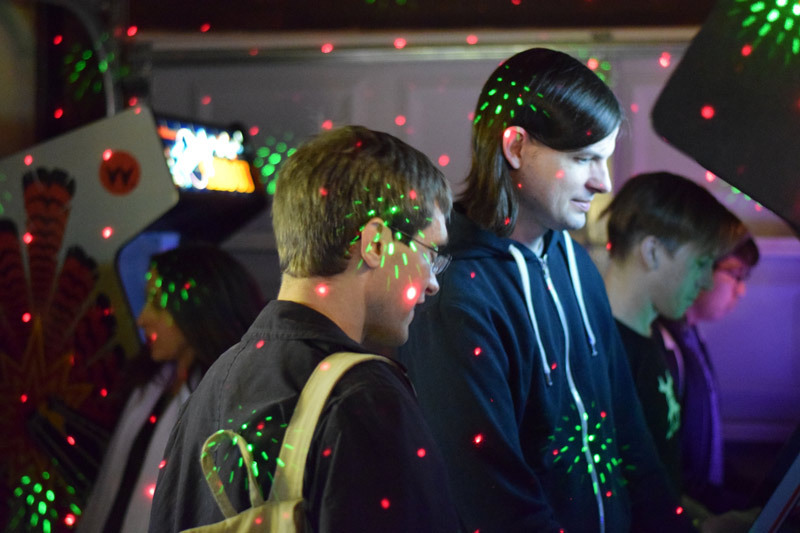 Overall it was one of the best shows to date. 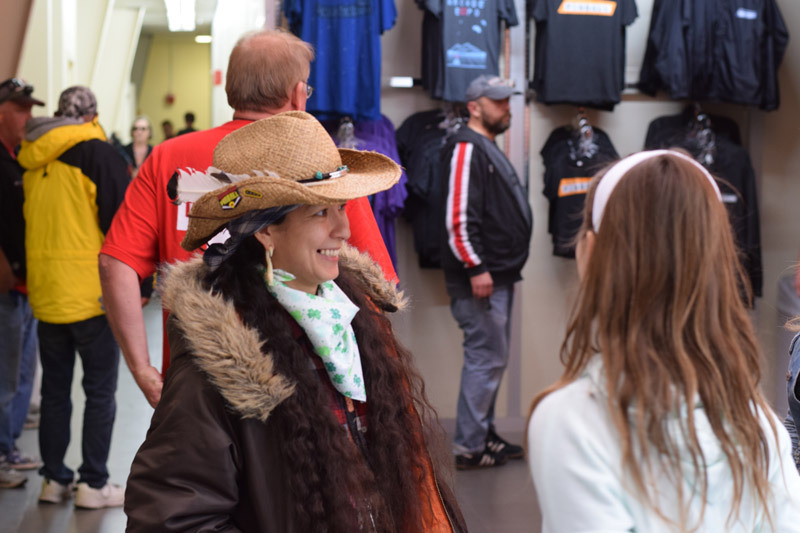 It went really smoothly and they really stepped up with the bathroom issues that had plagued the show by having a staff that constantly monitored them and kept them nice and clean throughout the show. 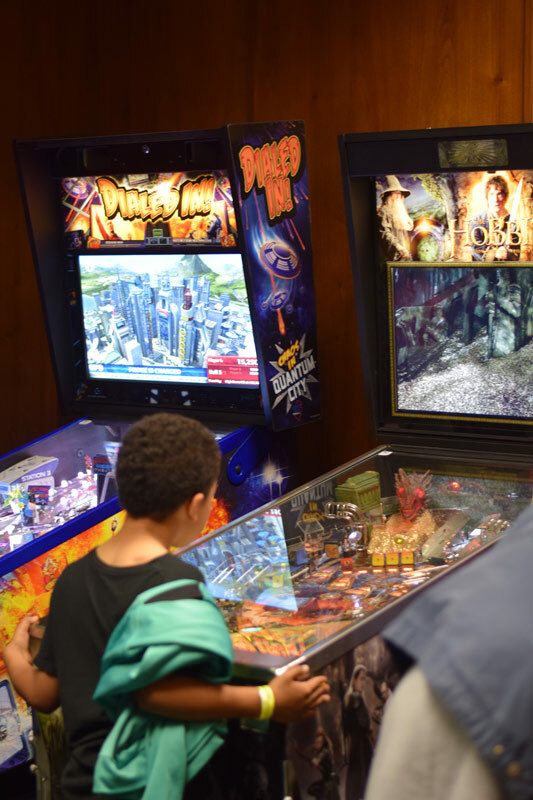 The next event will be Pinball Madness the weekend of October 19th so mark your Calender to attend that show that will have a fun Halloween theme. 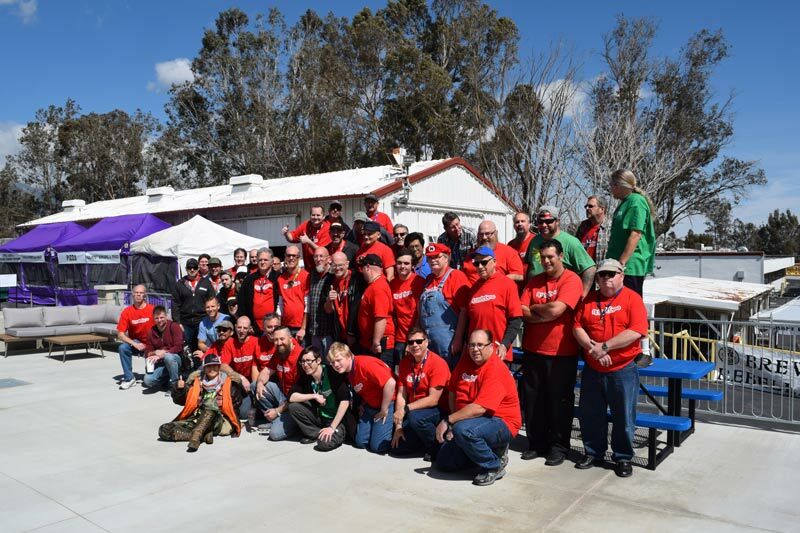 A big thank you has to go out to my fellow volunteers including Chuck, Tom, Nick, and a big shout out to D.J. 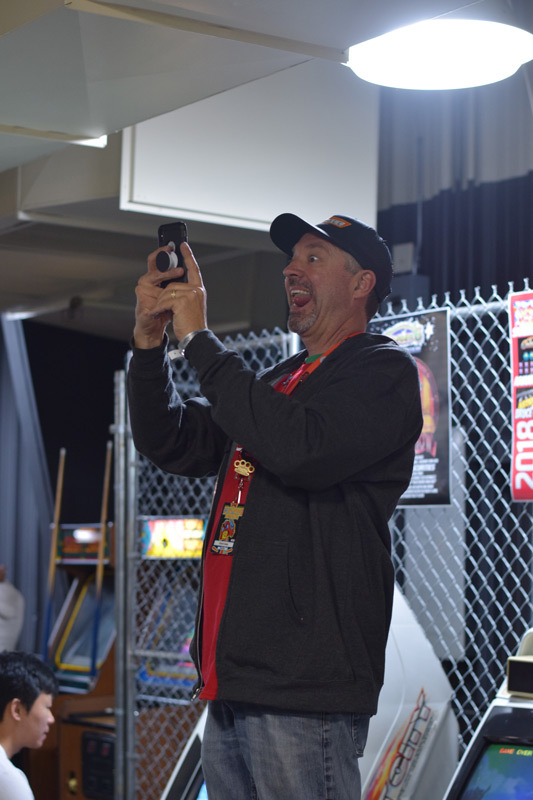 Ken along with so many others that give their time and talent to keep these games running and making sure that everyone who comes to these events are having a good time and it runs smoothly. 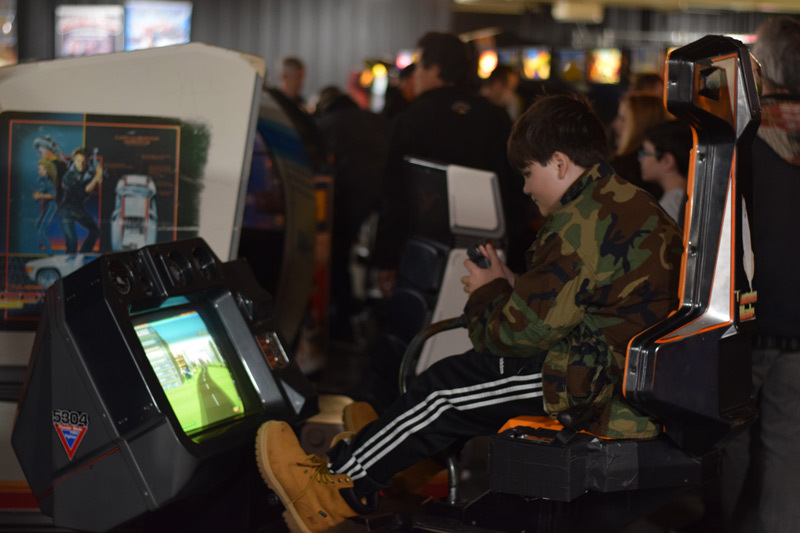 Below are more photos from the show so enjoy.